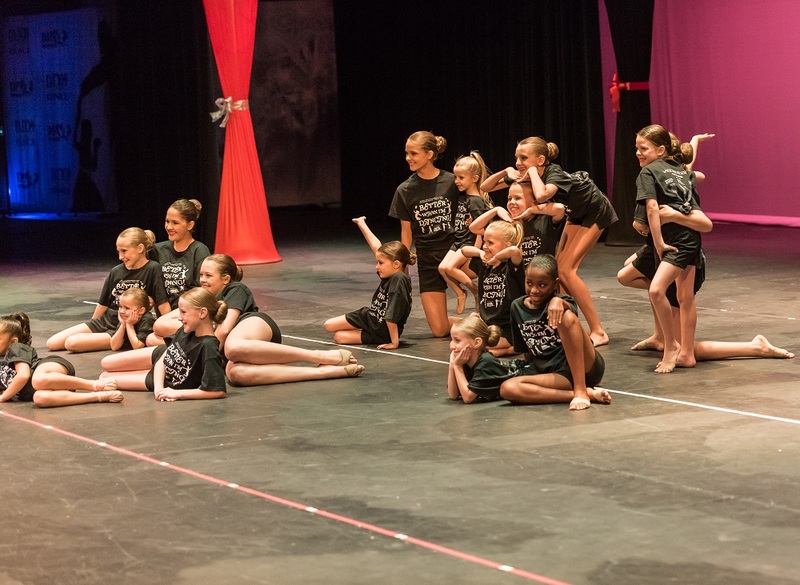 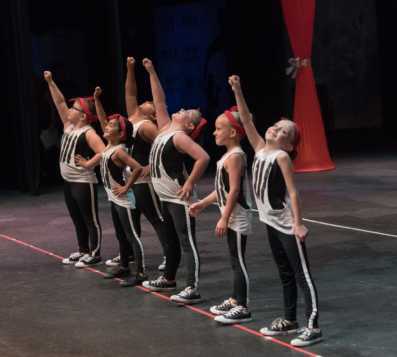 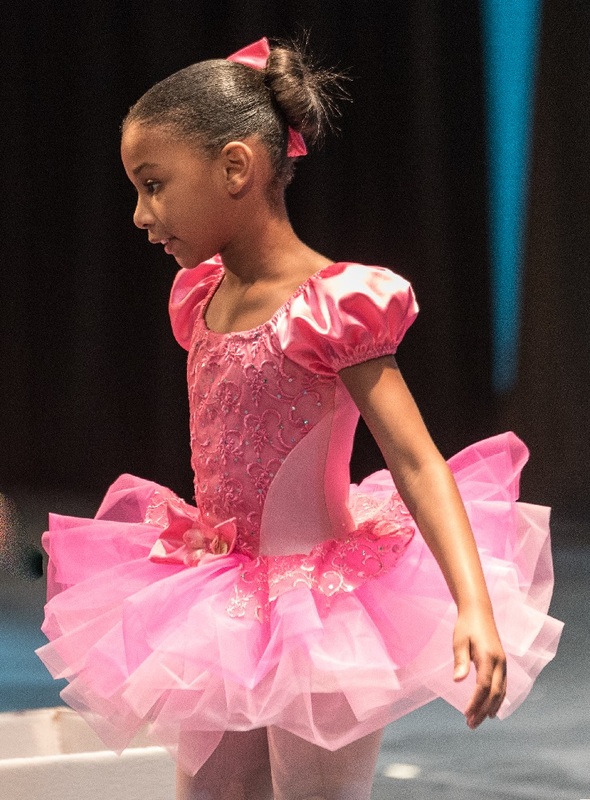 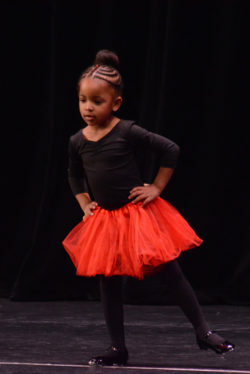 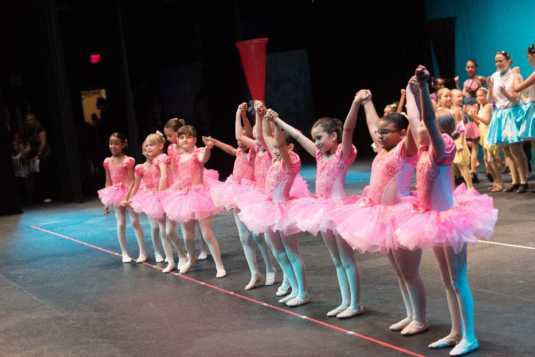 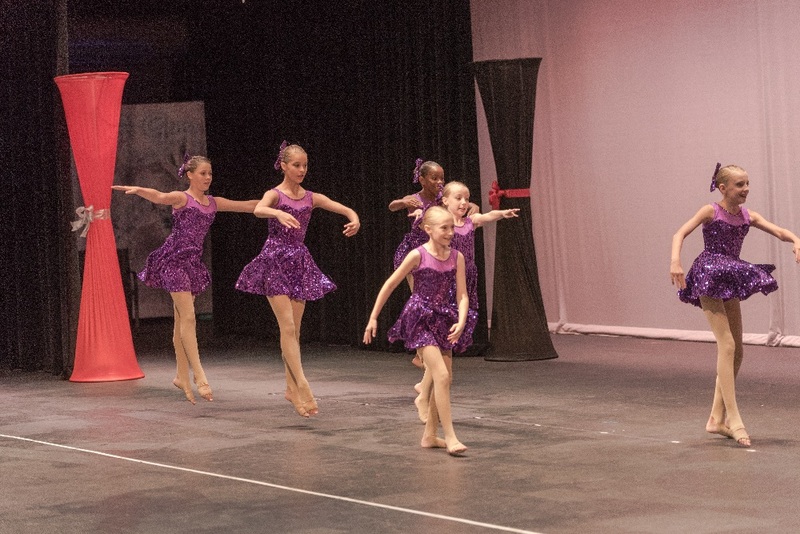 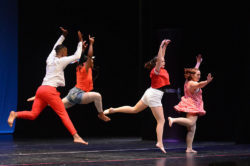 Home Tags Articles tagged with "Dance"
DSPA Gems, Inc. announces the availability of a minimum of $5,000 in performing arts tuition grant money. 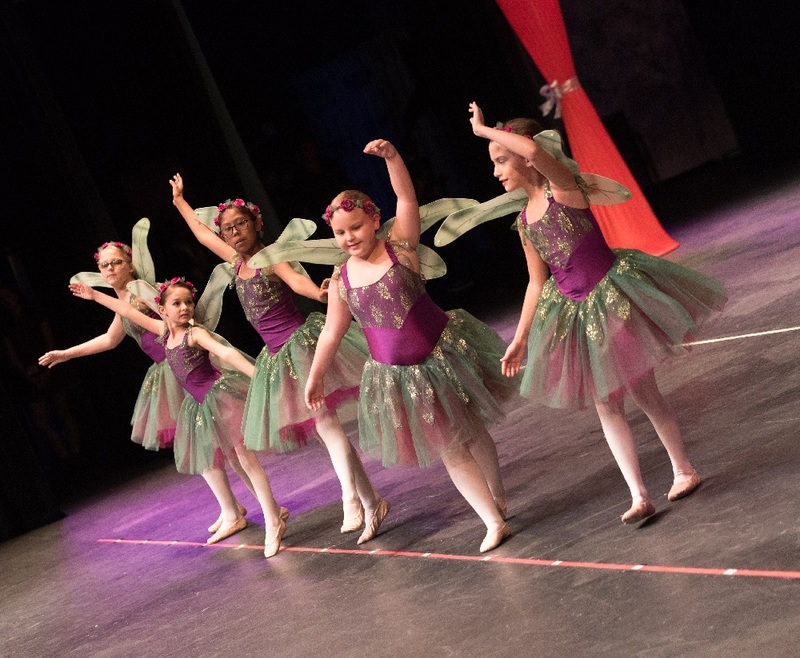 This local nonprofit provides performing arts opportunities to children regardless of a family’s ability meet financial obligations. Shannon Wallace, DSPA Gems, Inc. president, said these funds are available due to a variety of fundraising activities. 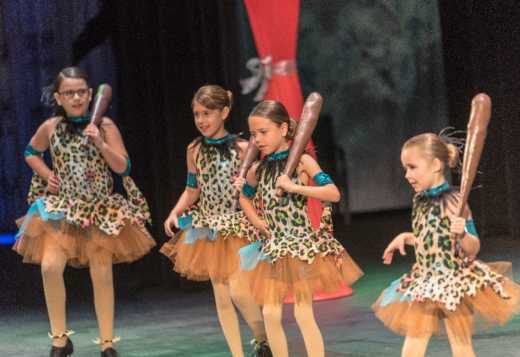 Some of these fundraisers include Maricopa’s annual city-wide Daddy Daughter Dance, which almost 200 people attended, and the annual Sugar Plum Tea. 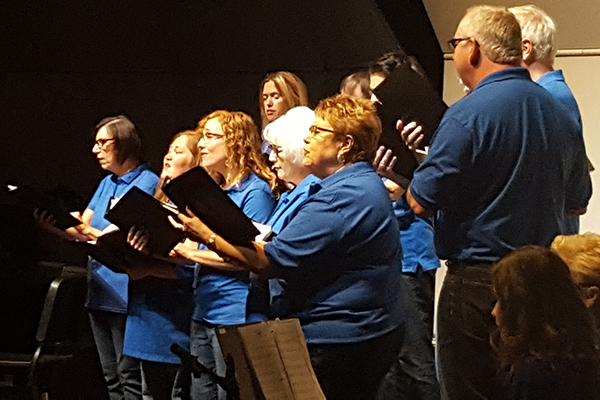 Funds were raised from ticket sales, the generous bidding on silent auction items and the purchasing of flowers and song dedications. 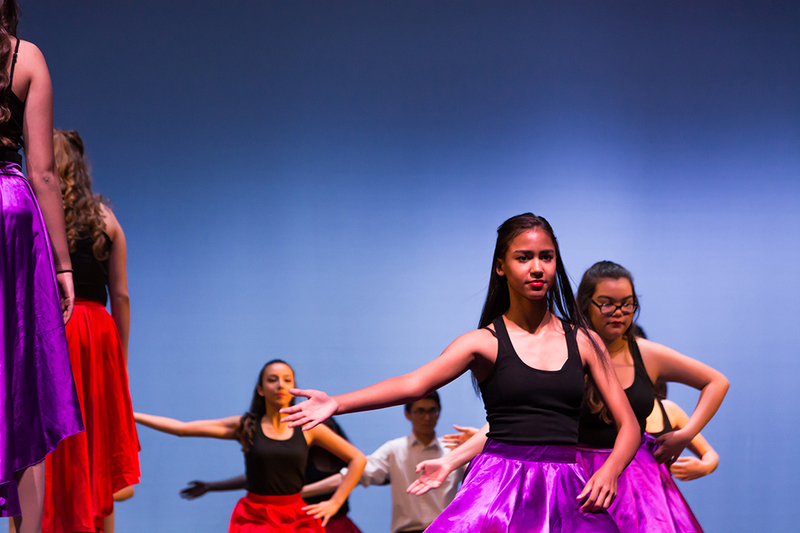 All grant money awarded will be applied towards tuition for performing arts classes. 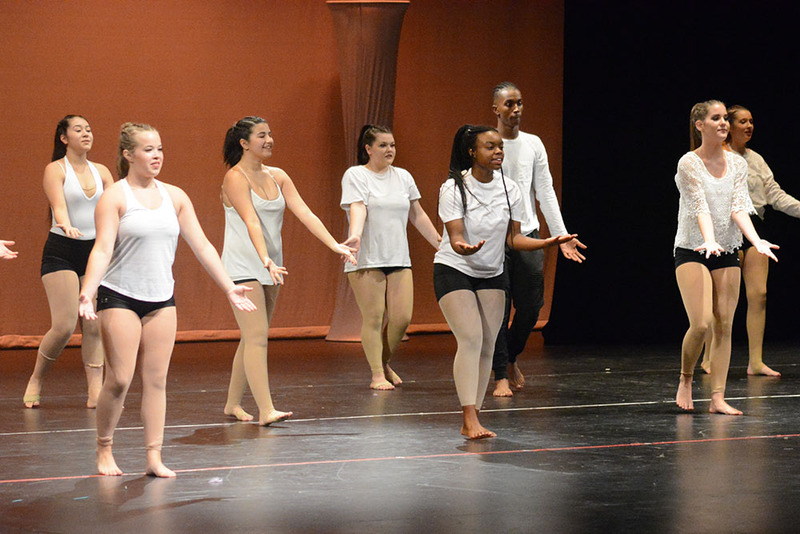 Tuition grant recipients are selected by the DSPA Gems, Inc. selection committee based upon funds available and need. 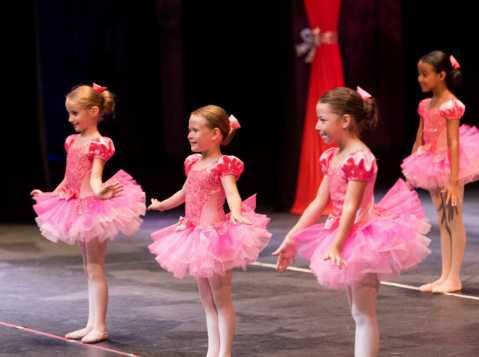 The selection committee has determined that programs in which the participant is involved in an activity considered a sport are not eligible. 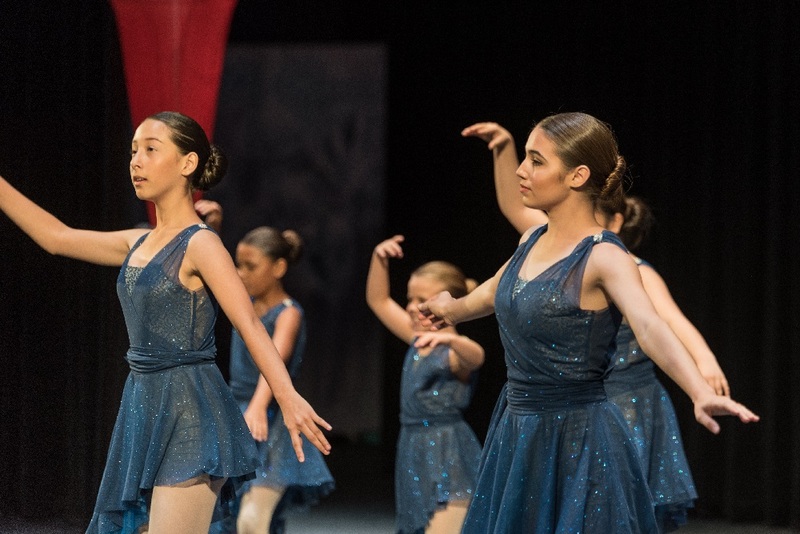 The grant application, as well as requirements for grant applicants and recipients can be picked up at Desert Sun Performing Arts, 19756 N. John Wayne Parkway, Suite 107. Applications are due and must be post-marked, no later than Feb. 28. 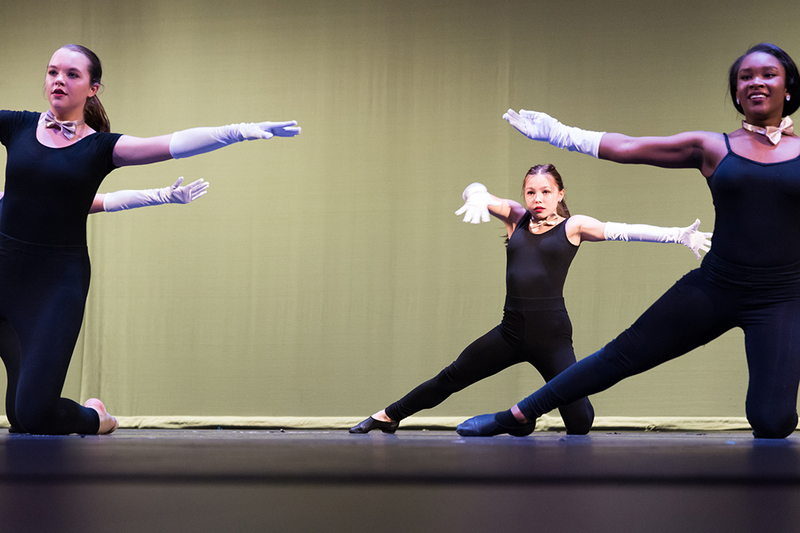 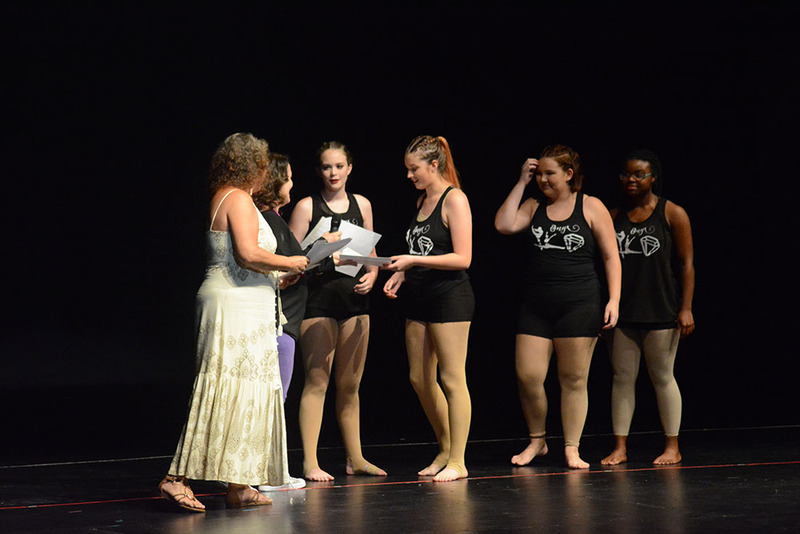 Grants will be awarded at DSPA’s 13th annual recital June 8. 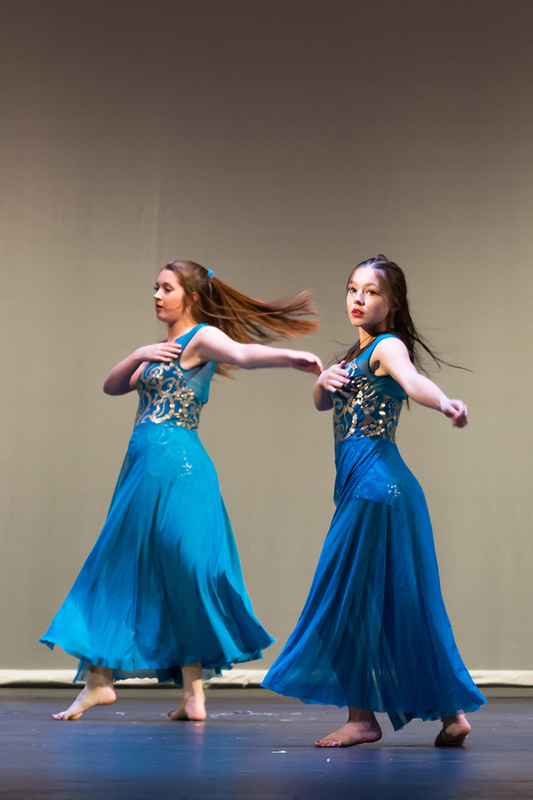 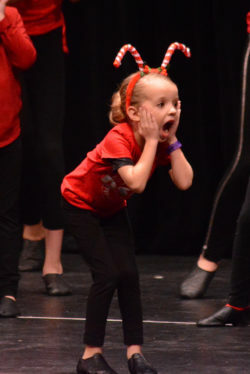 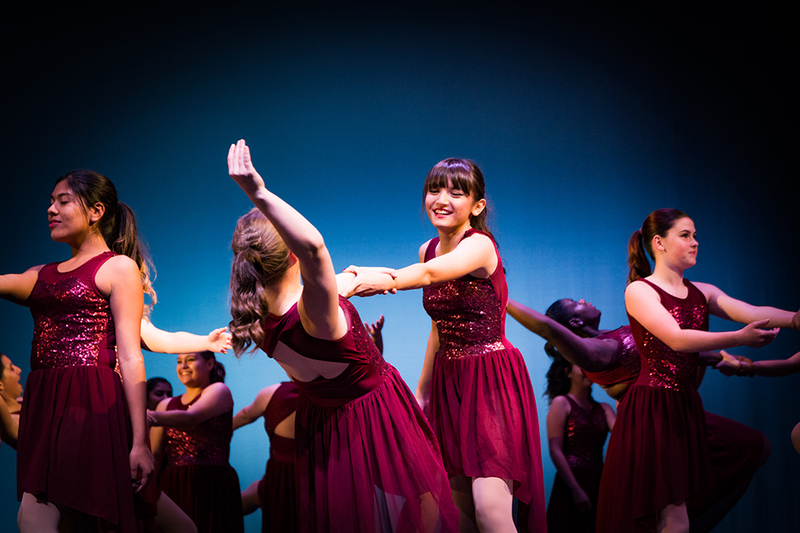 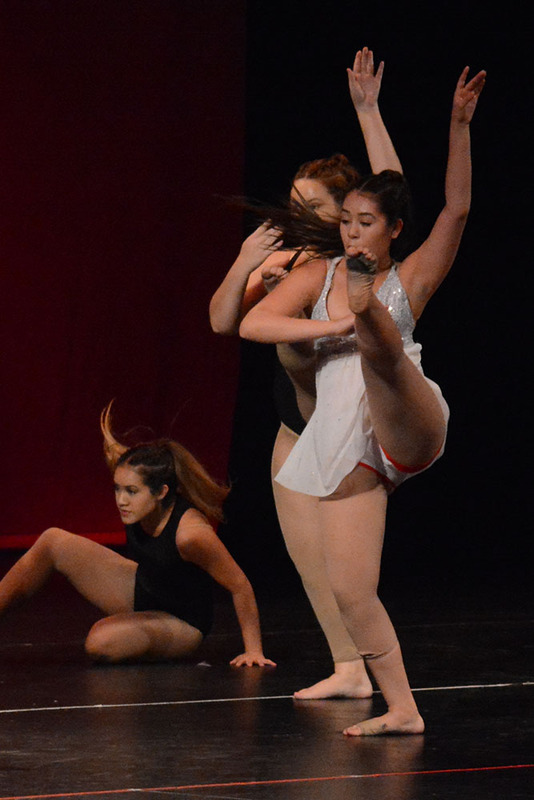 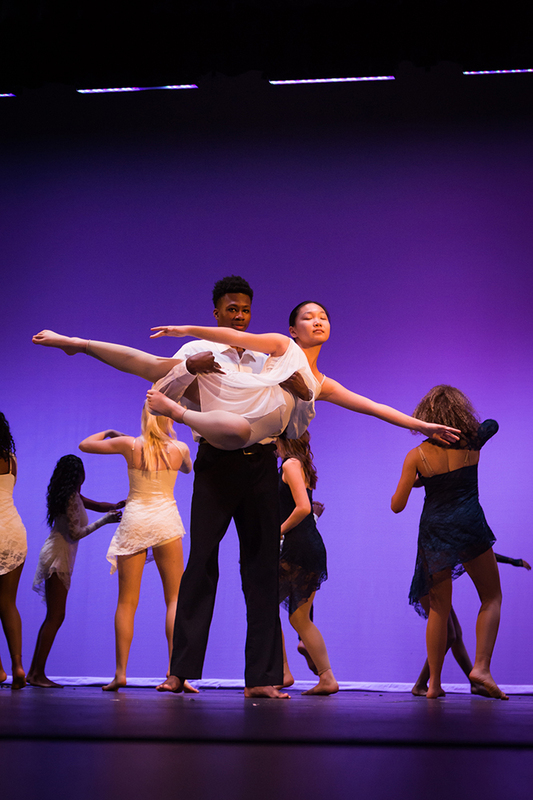 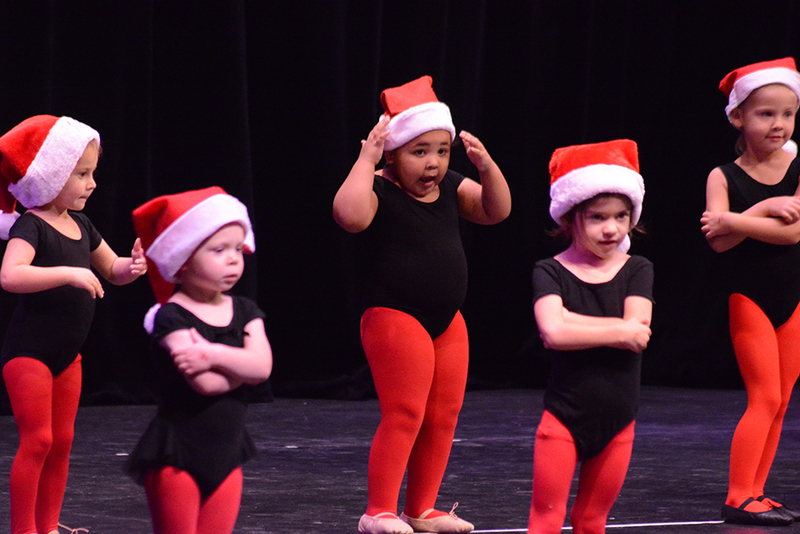 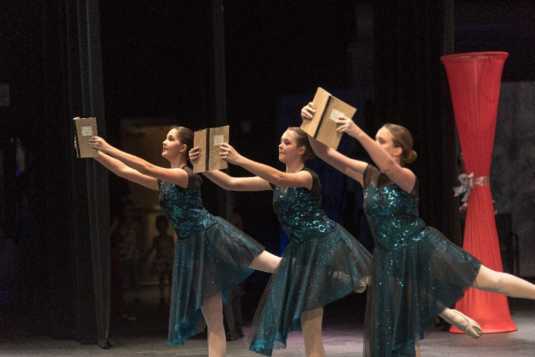 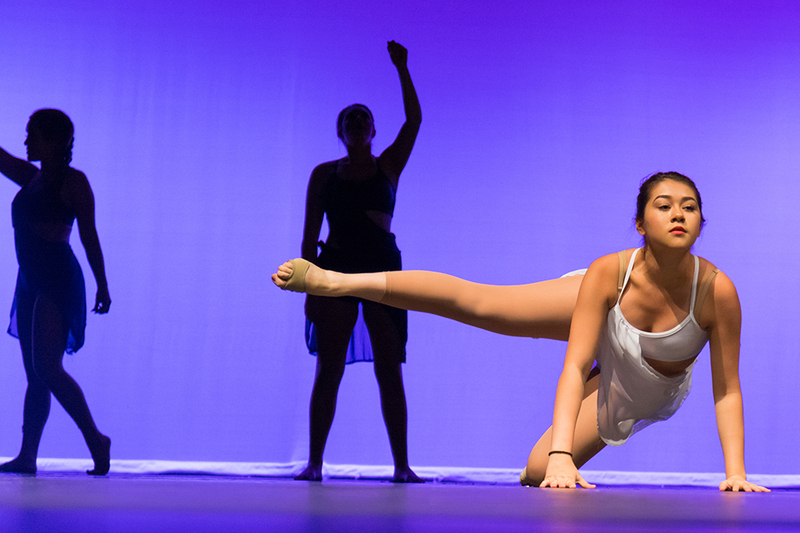 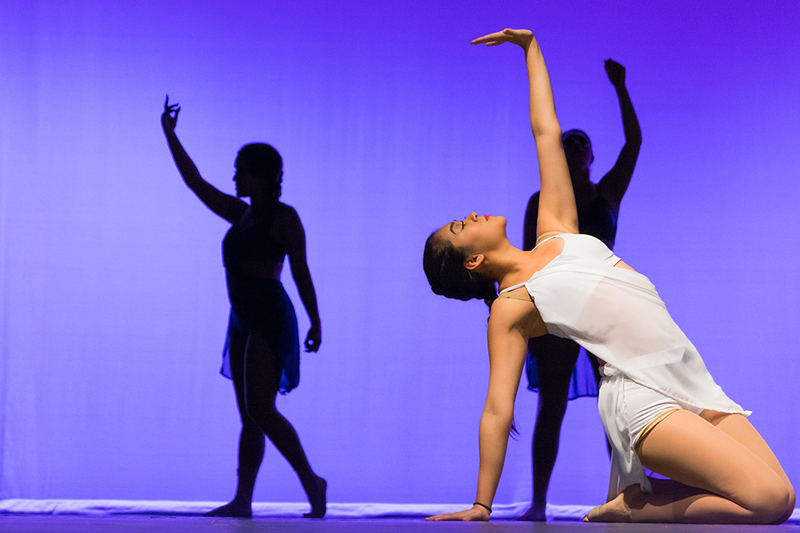 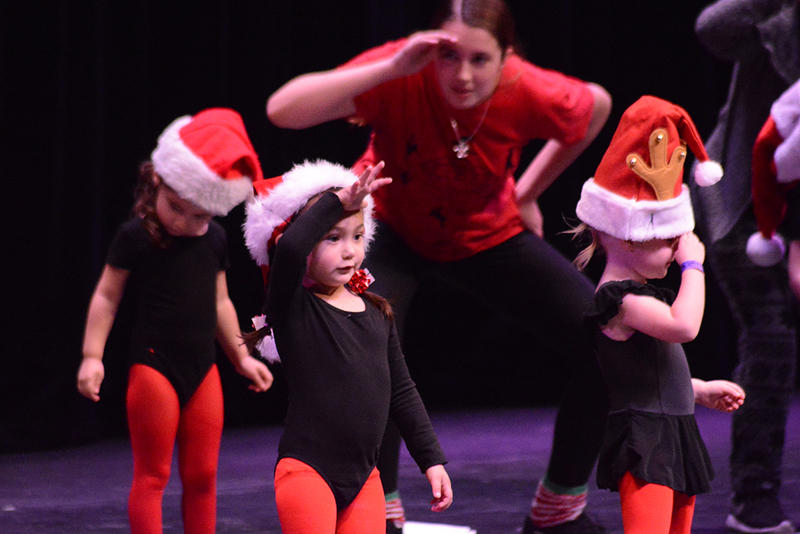 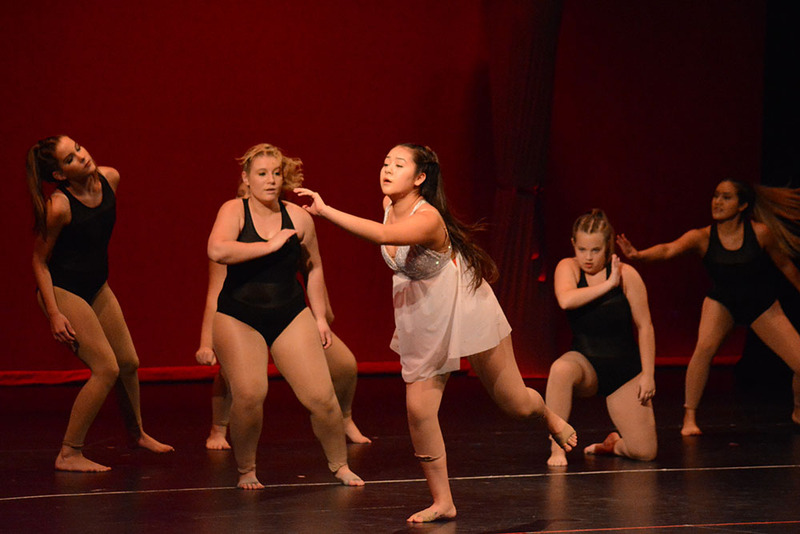 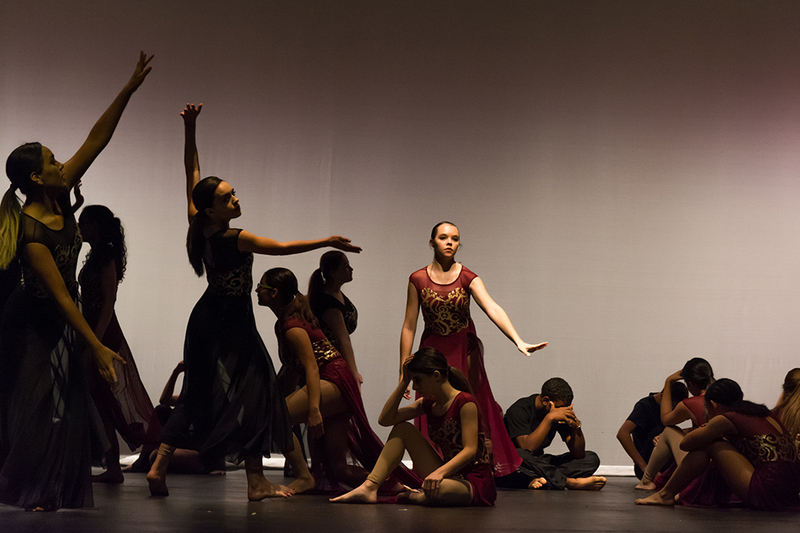 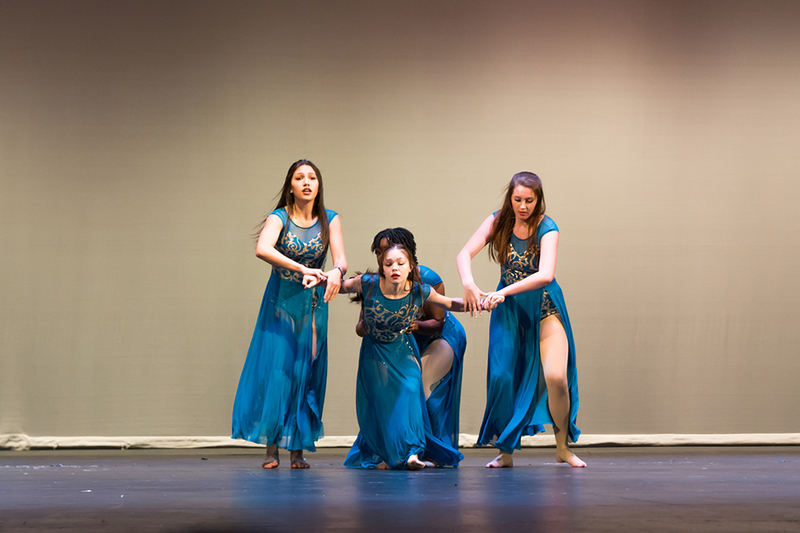 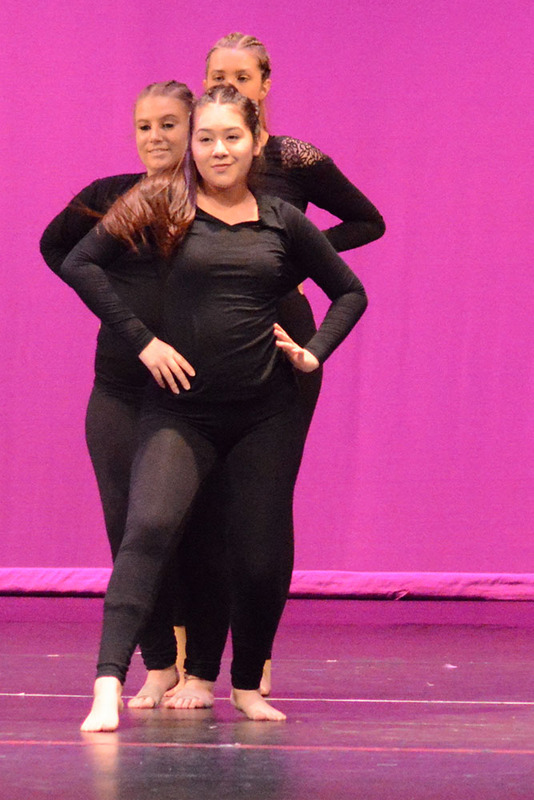 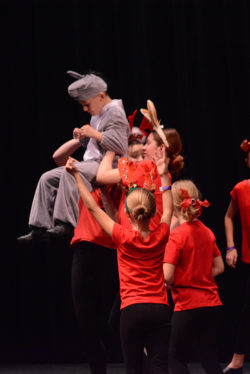 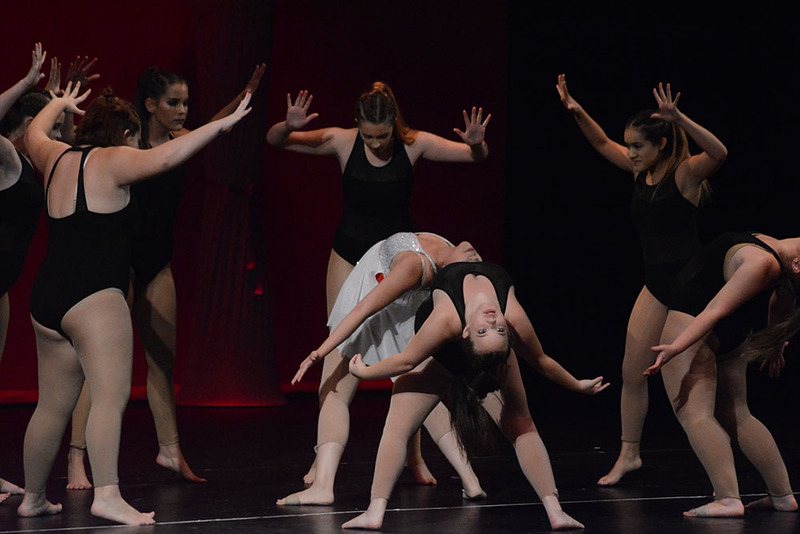 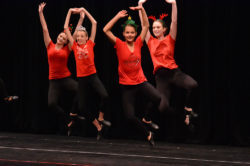 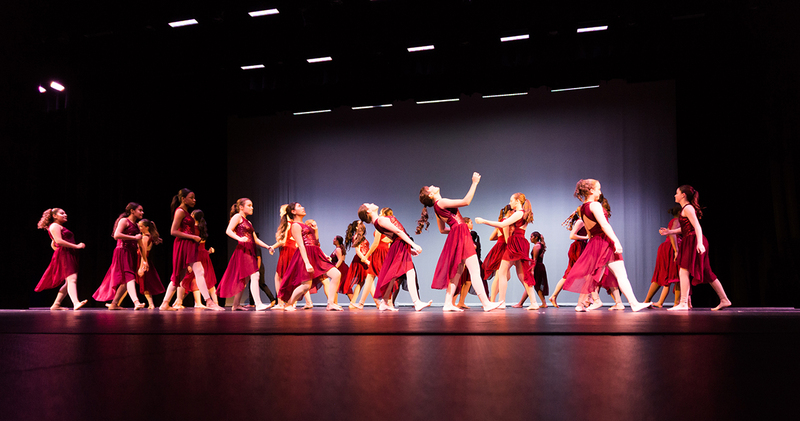 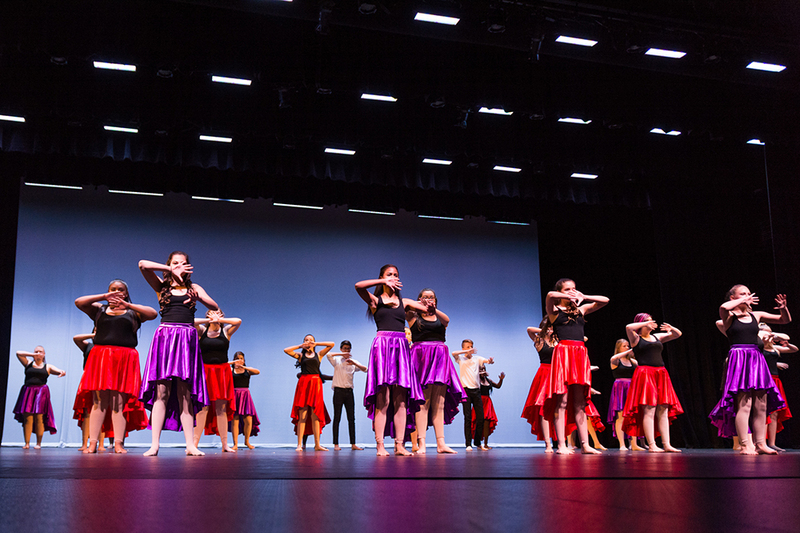 DSPA Gems resented their annual holiday dance showcase and fundraiser, the Sugar Plum Tea, to a large crowd at Maricopa High School’s Performing Arts Center Saturday. 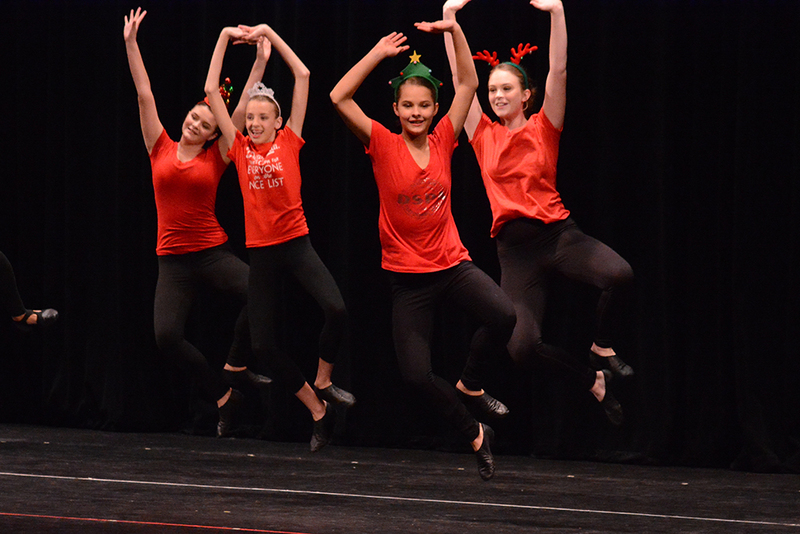 The Desert Sun Performing Arts students performed a variety of dance styles, included pieces from “The Nutcracker,” and the audience tried tasty treats and checked out raffle items. 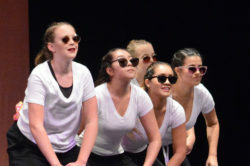 Maricopa High School Dance Department’s Performance Company presented its annual showcase Friday and Saturday in the Performing Arts Center, this year with the theme “Icons.” With numbers choreographed by dance students and Artistic Director Alexandra Biggs, they celebrated iconic musical artists from Elvis to Usher, and included a powerful spoken word piece by Maya Angelou. 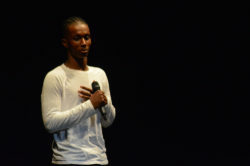 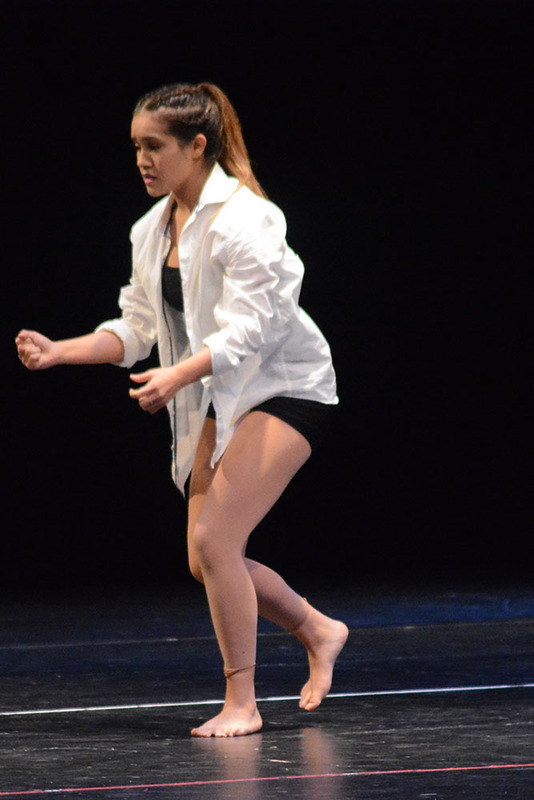 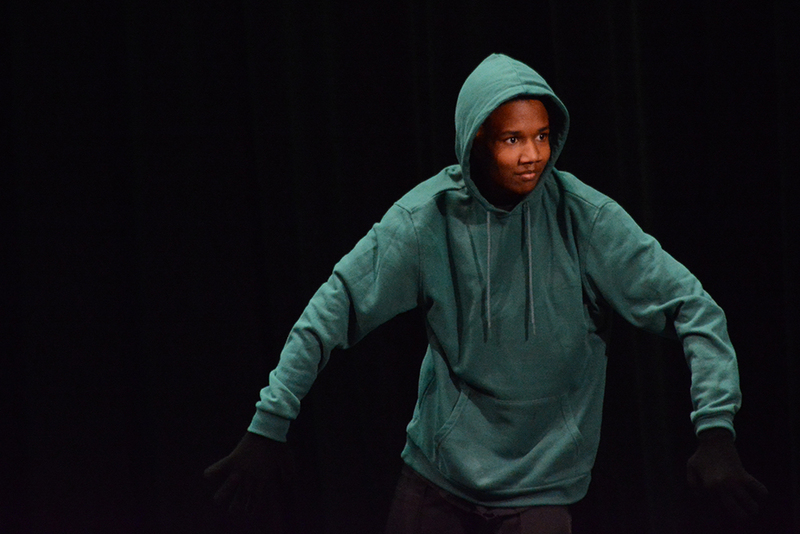 Maricopan Eddie Perry, 19, won the Maricopa Arts Council’s second Choreography Showcase Saturday. 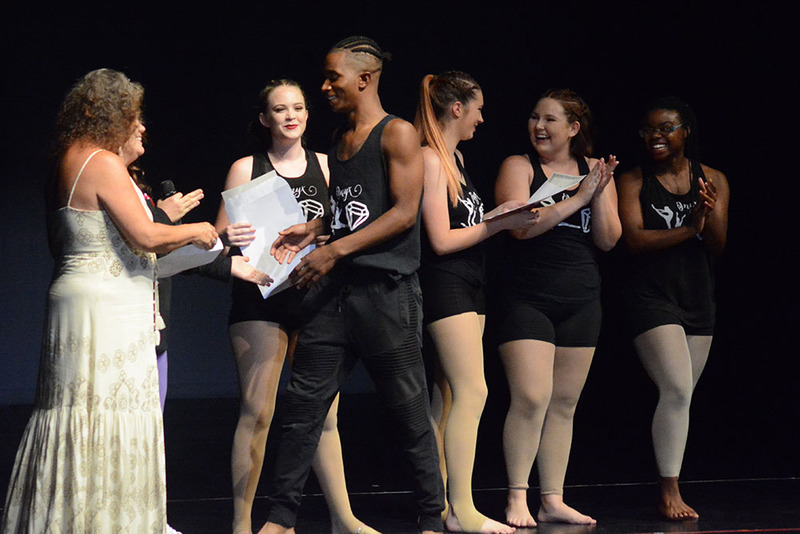 Edde Perry accepts his award from MAC’s Susan Cameron and DSPA’s Ceylan Gentilella. 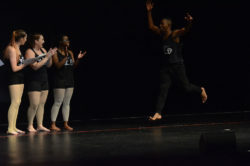 The competition at the Maricopa High School Performing Arts Center was voted on by the audience. 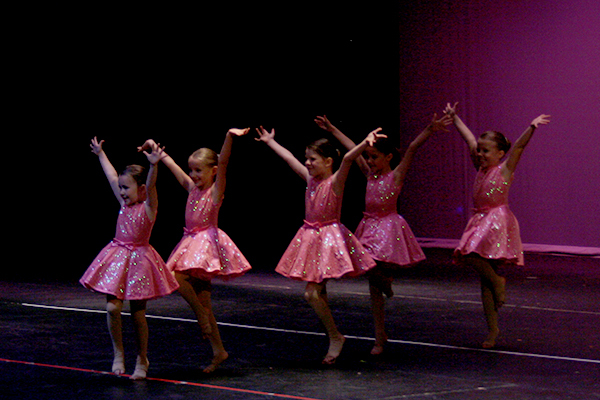 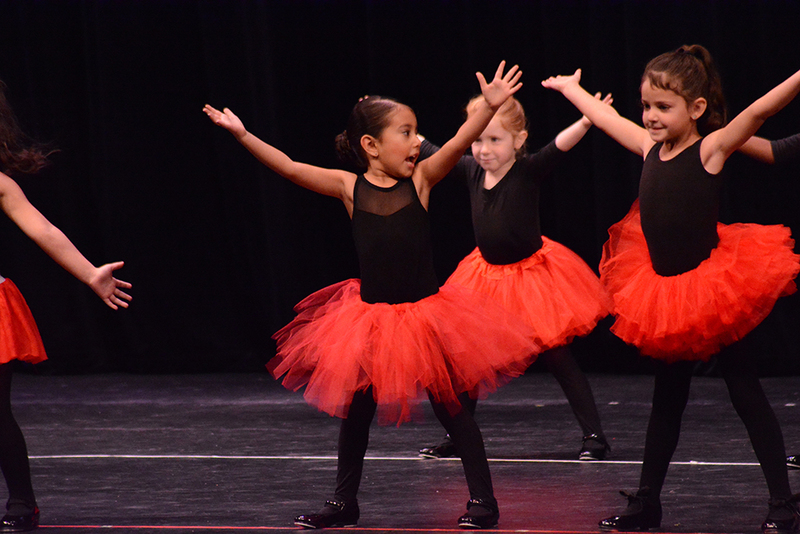 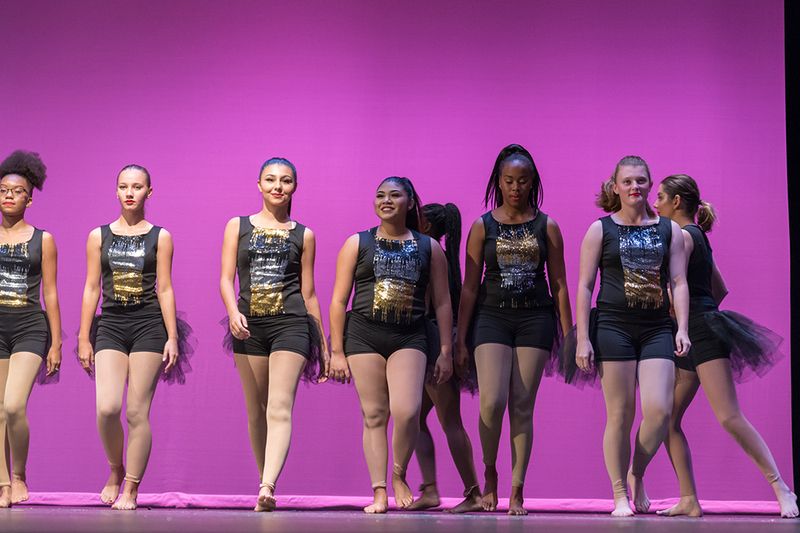 The event, sponsored by DSPA Gems and performed by Onyx dancers, was book-ended by the Desert Sun Performing Arts dance recital. Perry graduated from MHS in 2017. 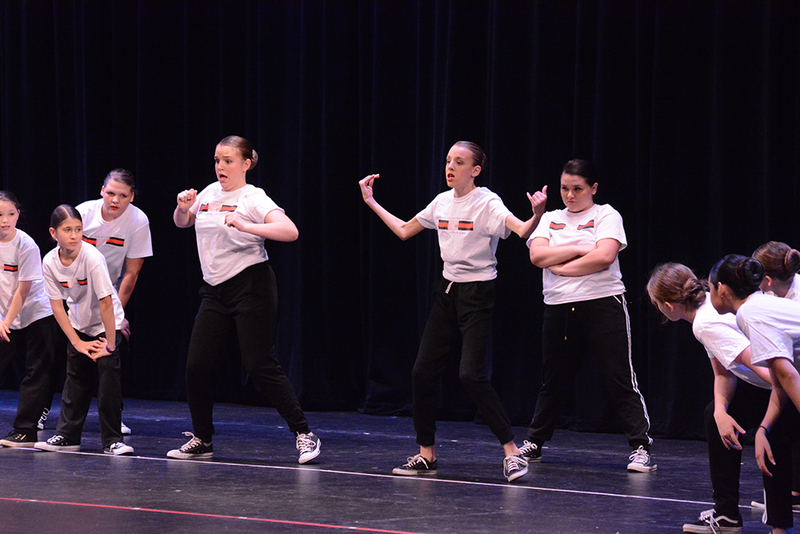 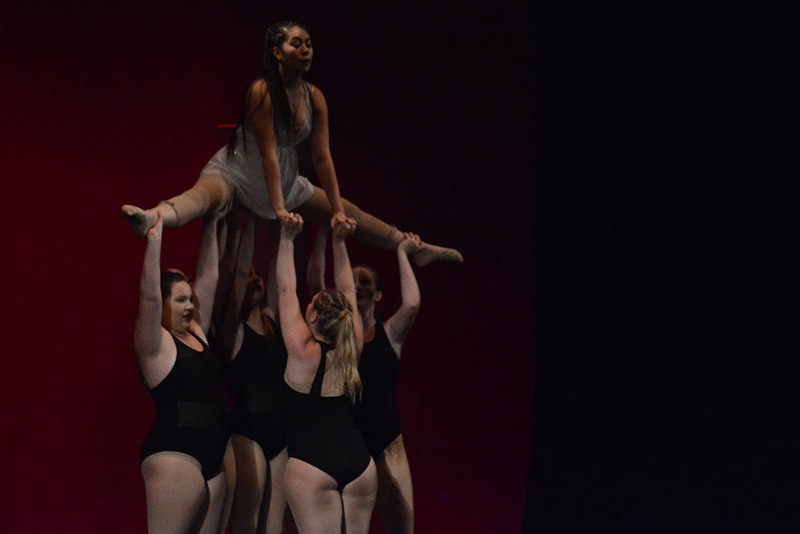 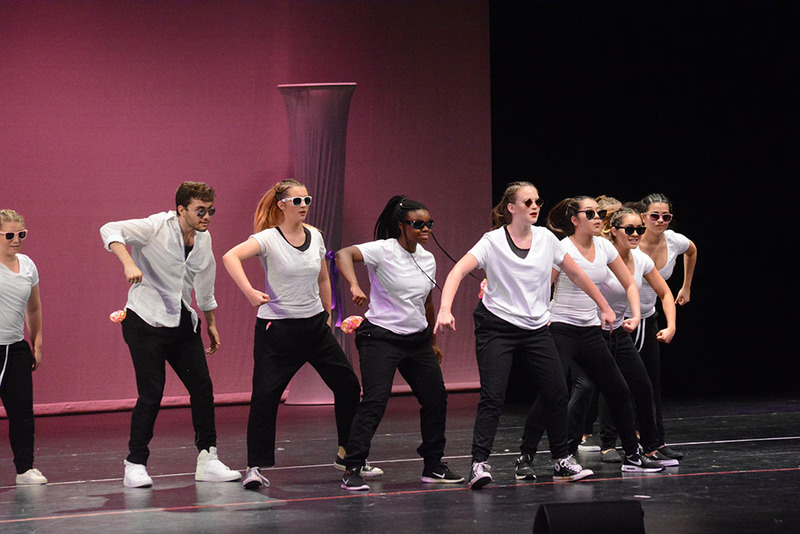 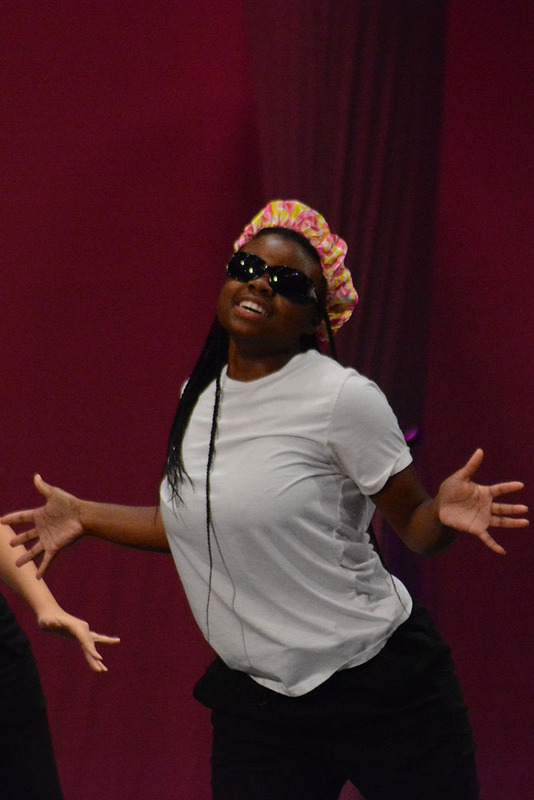 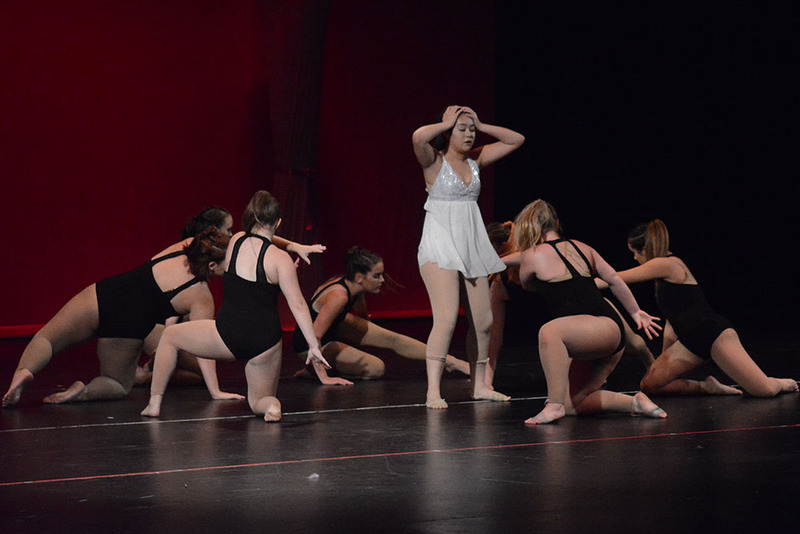 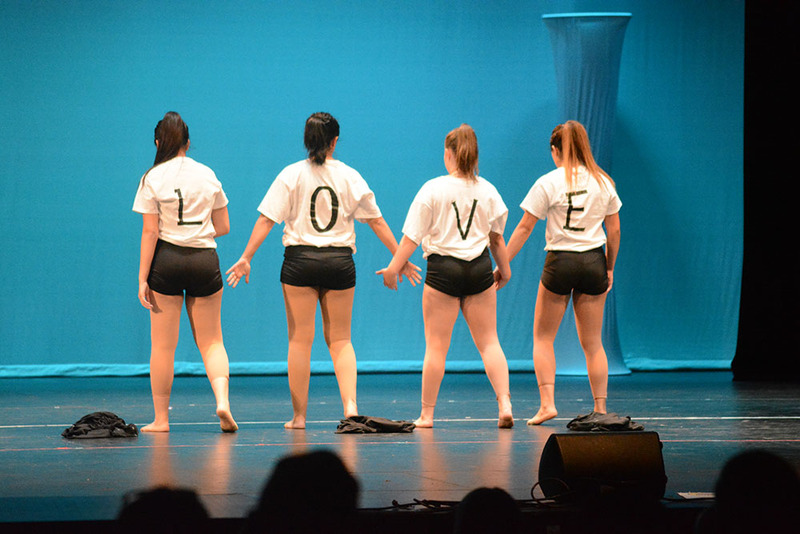 Other competing choreographers were the team of Grace Becking, Destinee Chavis and Myka Borunda, whose “Weight in Gold” finished second, Erin Hildick, whose “Fix You” finished third, Samantha Perry, Jalen Reyes, Lexie Vargas and Katie Sherrod. 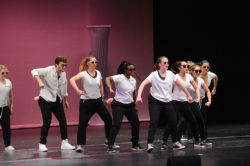 Themes ranged from suicide to partying. 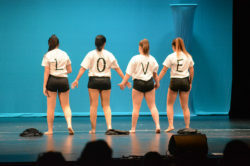 All of the choreographers also danced in each other’s numbers. 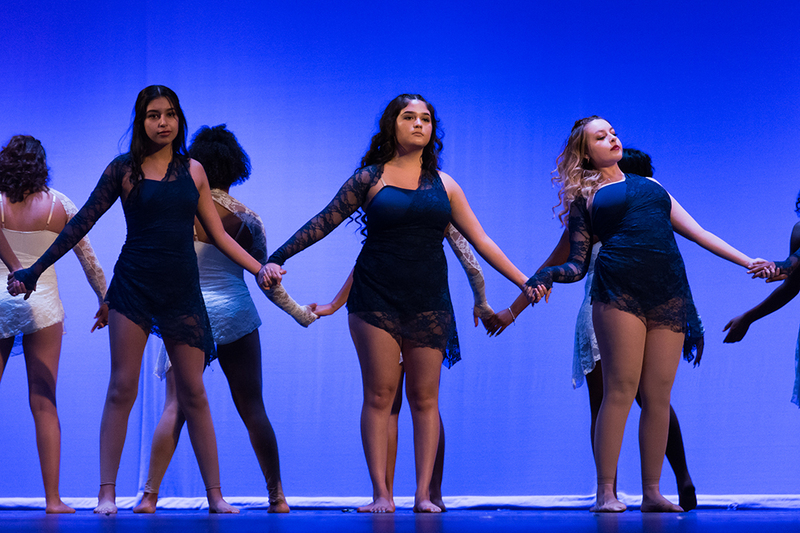 Other Onyx performers were Tatum Roeske, Crystabel Sanchez, Giselle Sanchez and Hannah Struckmann. 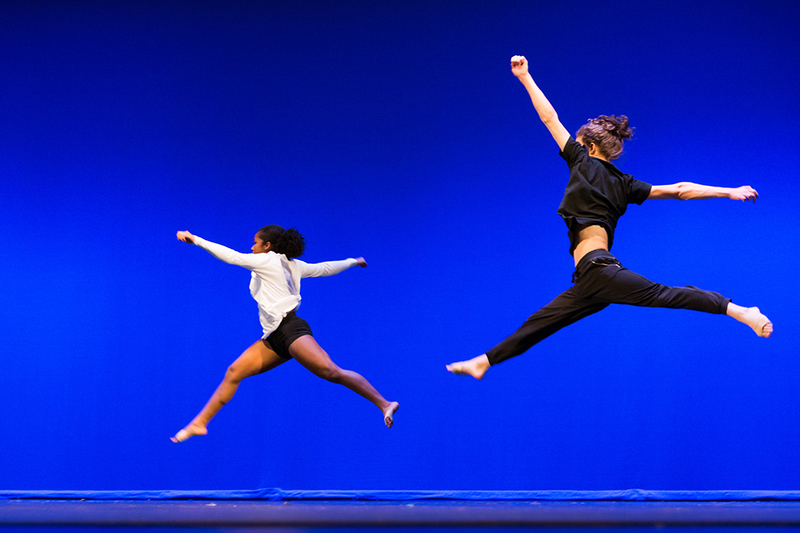 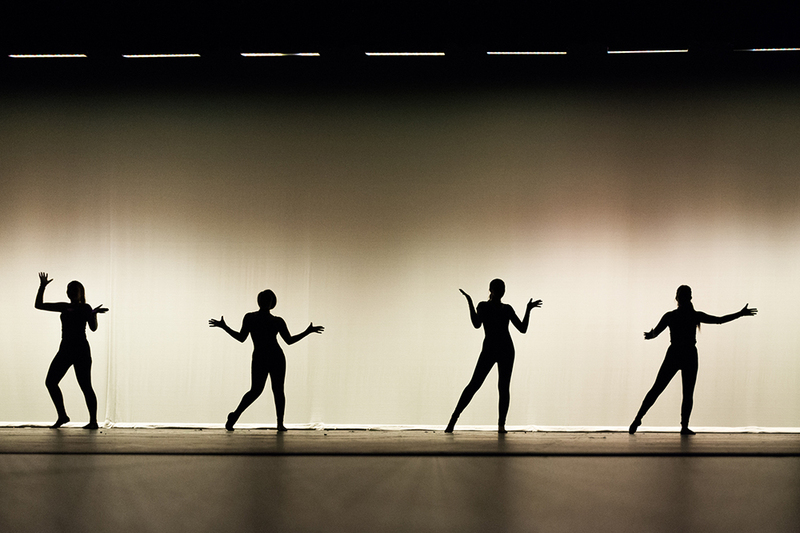 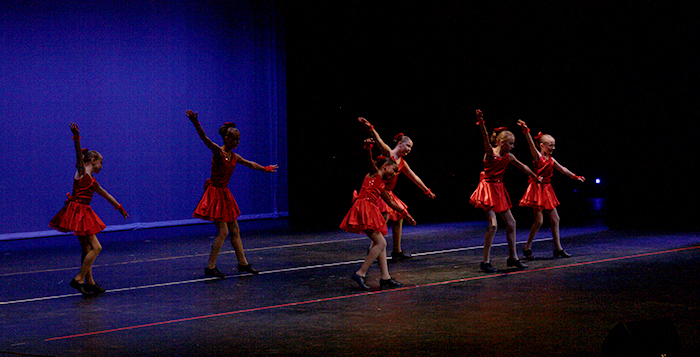 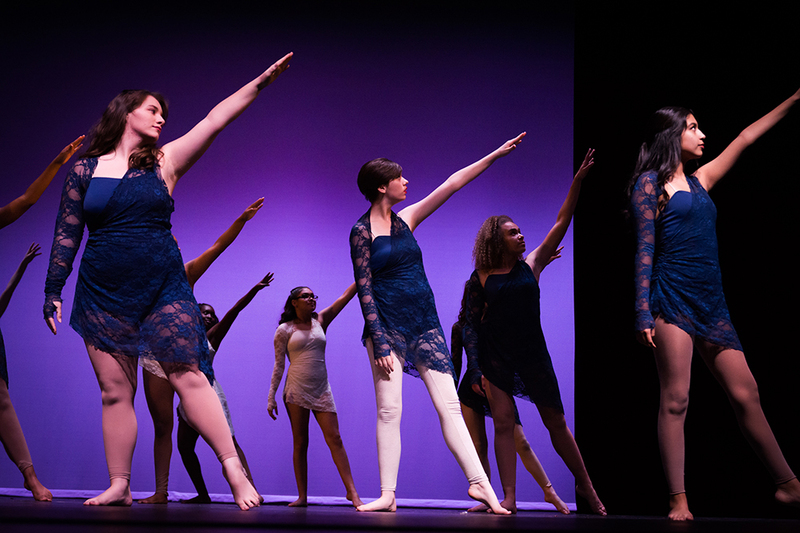 For the second year, the ONYX Young Choreographers Showcase will take flight in the Maricopa Performing Arts Center. 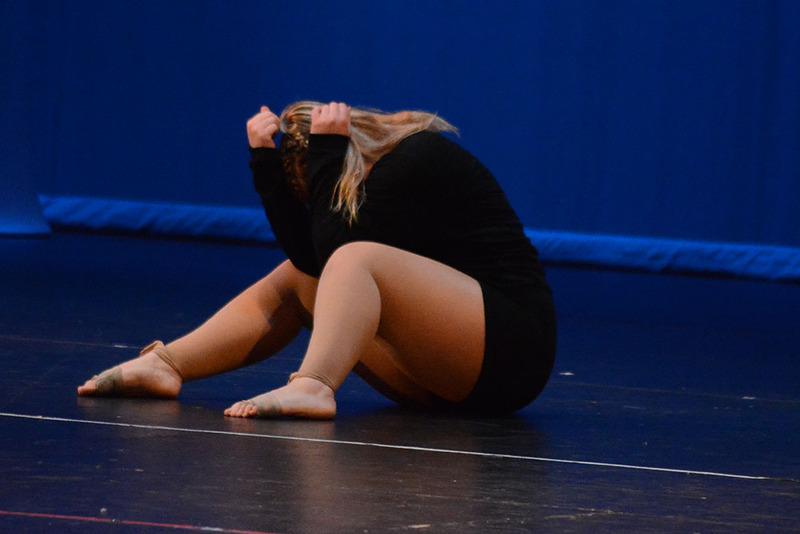 When: June 30, 3 p.m. 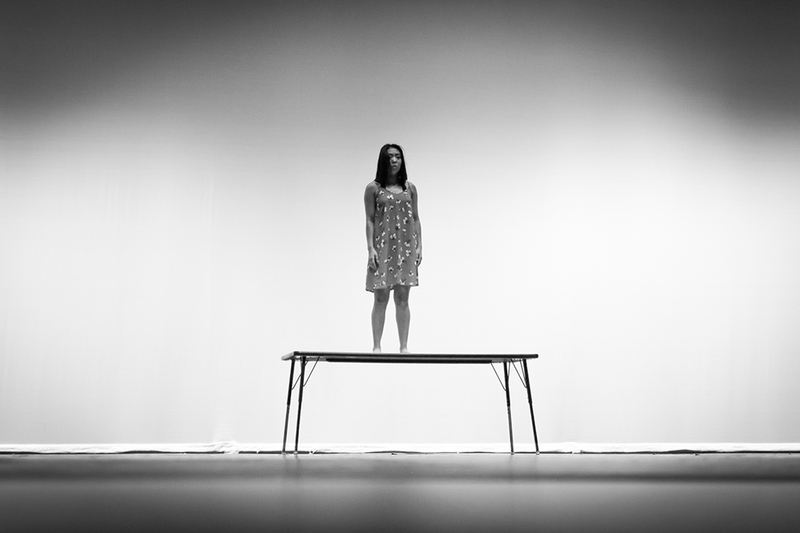 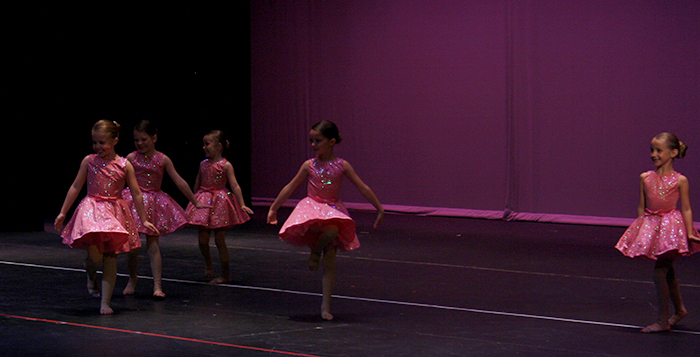 Started last year as part of the Maricopa Arts Council’s arts expo, the event is a performance and a contest. 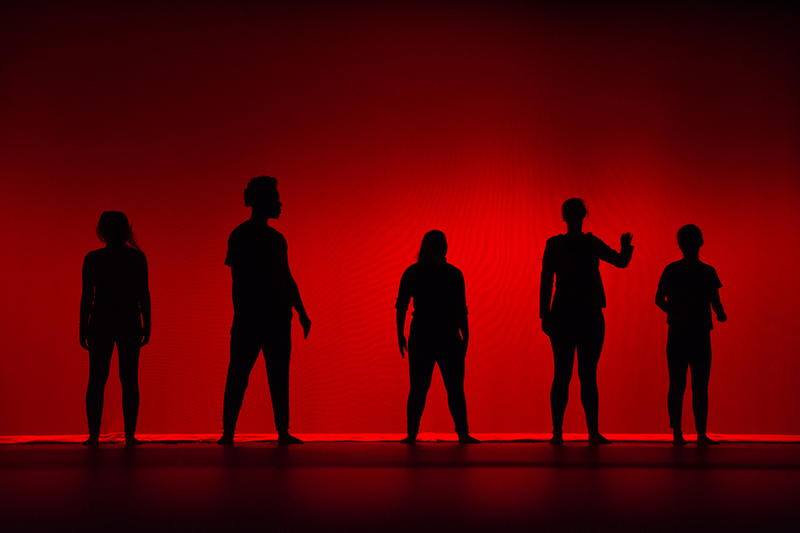 Choreographers in their teens and early 20s have created dances developed by the ONYX Dance Company, resident troupe of Desert Sun Performing Arts. 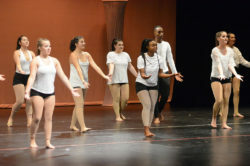 The showcase will feature approximately 15 dances and will start at 3 p.m. June 30. 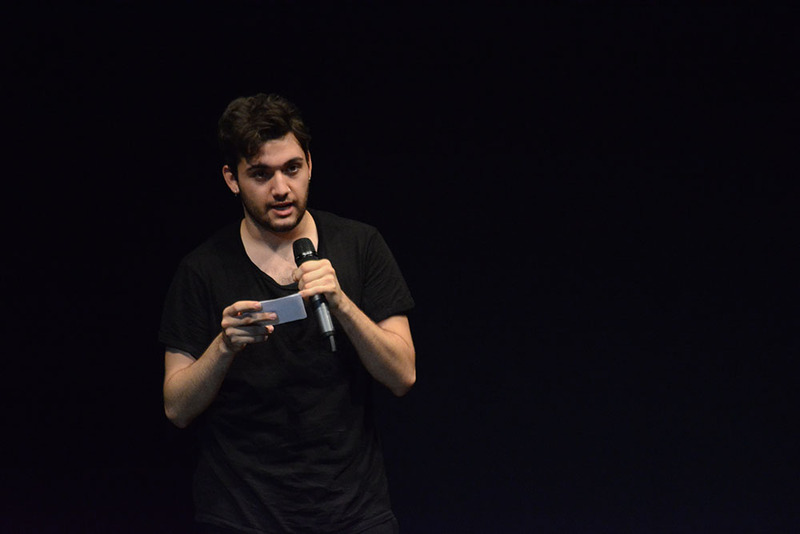 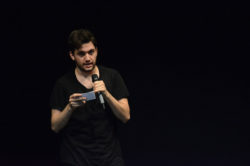 Following the slate of performances, audience members are asked to pick their favorites. 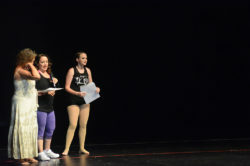 People’s Choice prizes will be awarded to the top three. 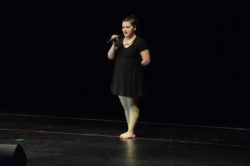 First place receives $300, second place $150 and third $50. 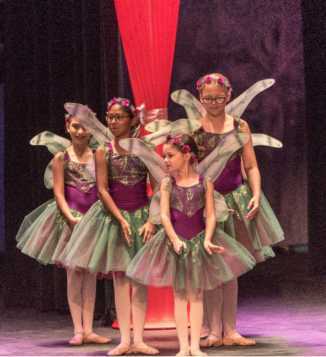 Award funds are underwritten by Maricopa Arts Council and Desert Sun Performing Arts. 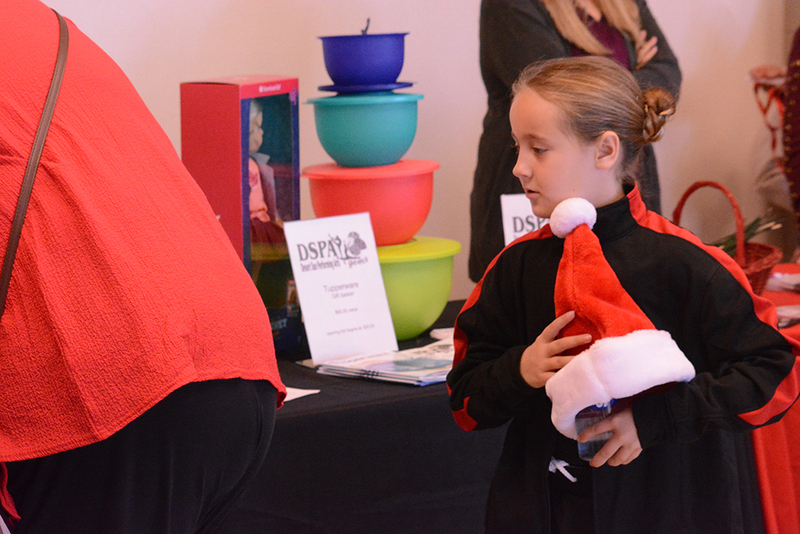 The showcase is a long-term dream of DSPA’s founder and director, Ceylan Gentilella. 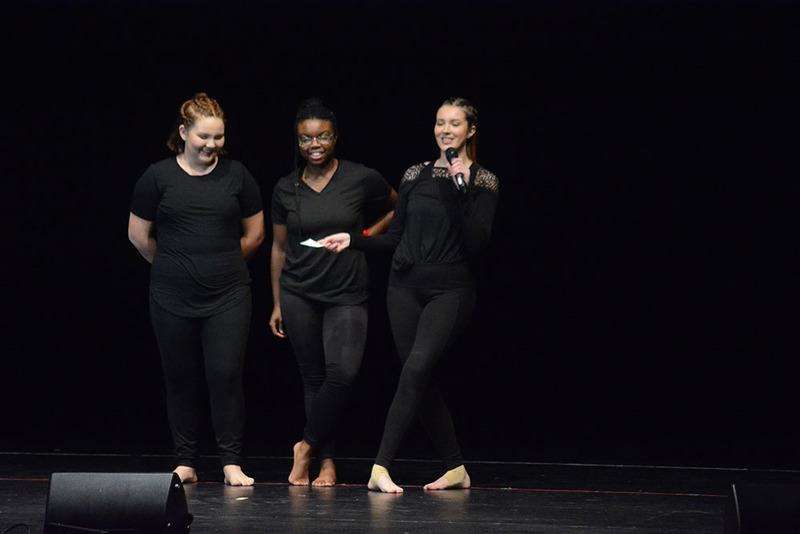 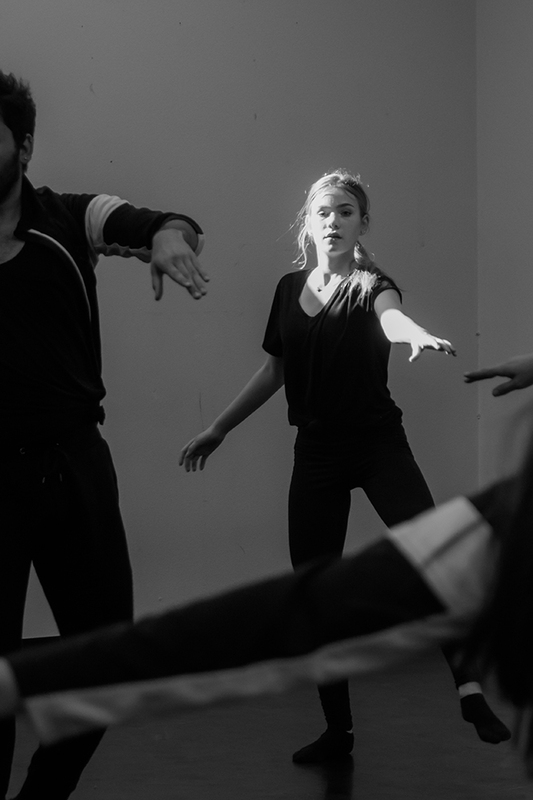 Herself a talented choreographer, Gentilella knows first-hand the excitement of bringing a dance creator’s personal artistic vision to life in real-time presentation before the public – definitely an acid test for the work. 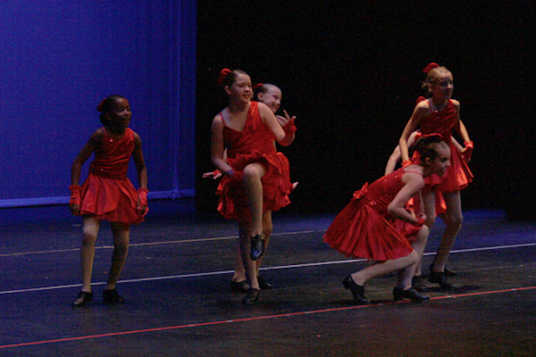 Sept. 24, seven members of the Maricopa Wells Dance Team performed at a home Diamondbacks baseball game at Chase Field. The performance was part of the pregame activities for the Diamondback and Florida Marlins baseball game. 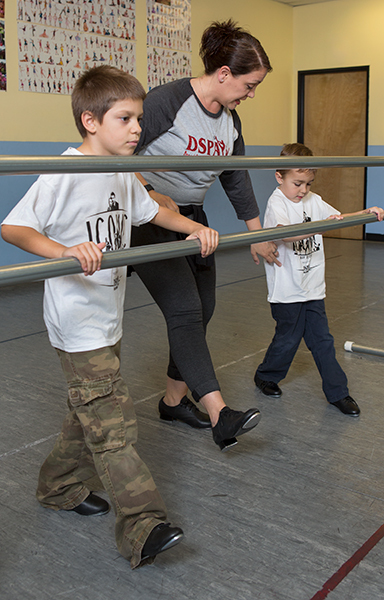 This is the second year that instructor Yvonne Palm has taken students from her dance class to the annual Diamondbacks Dance Day. 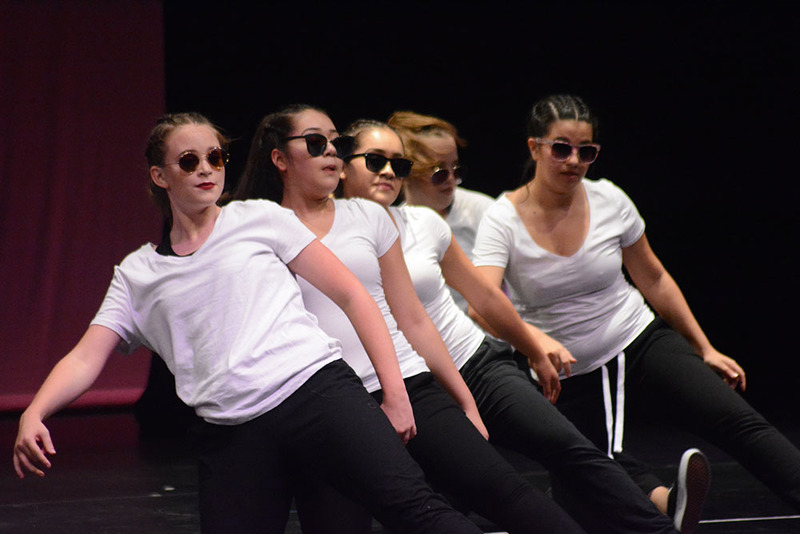 The dance team from Maricopa Wells performed along with other dance teams from across the state. 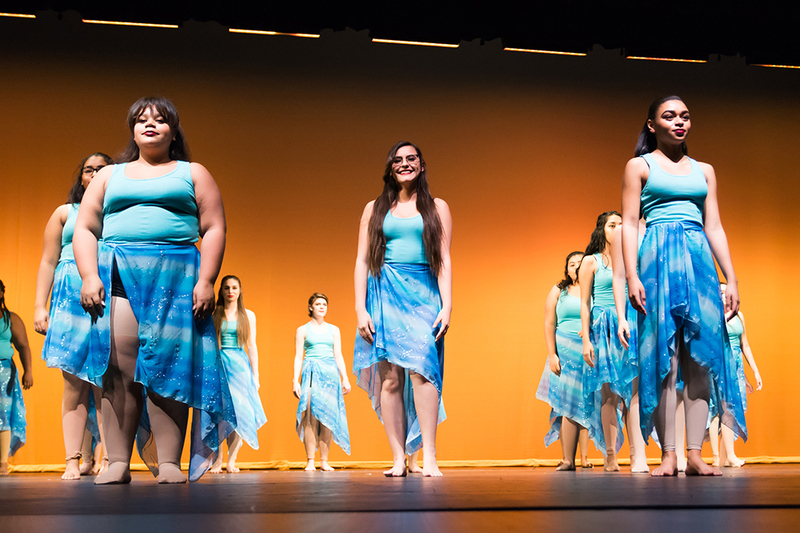 Dancers from Desert Sun Performing Arts in Maricopa performed their spring recital at Maricopa High School Performing Arts Center June 3. 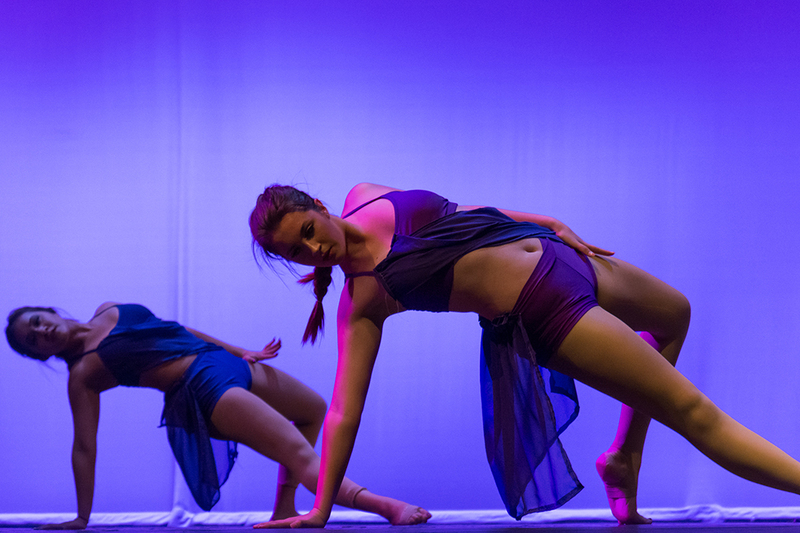 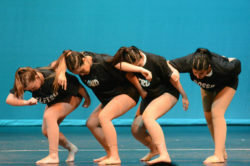 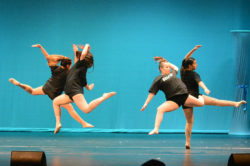 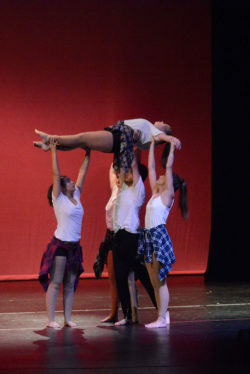 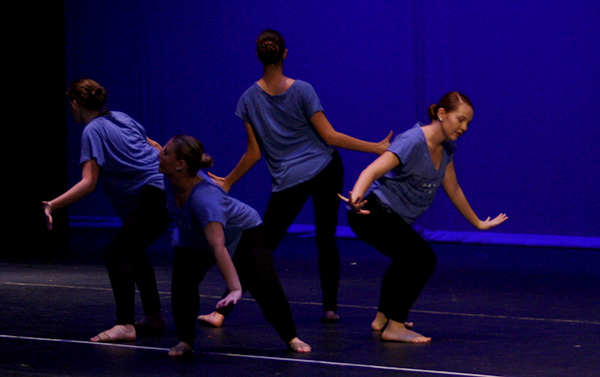 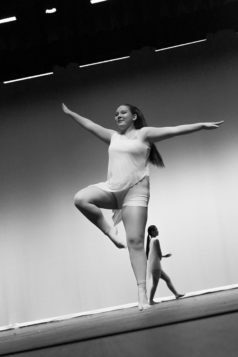 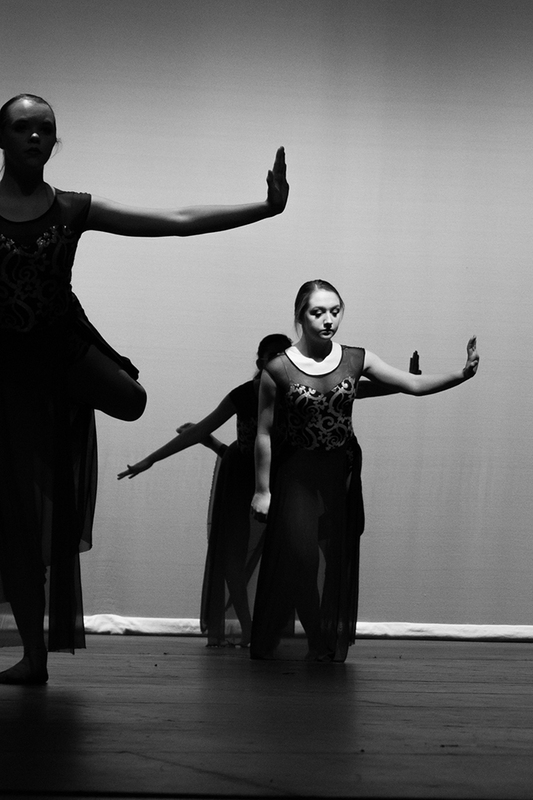 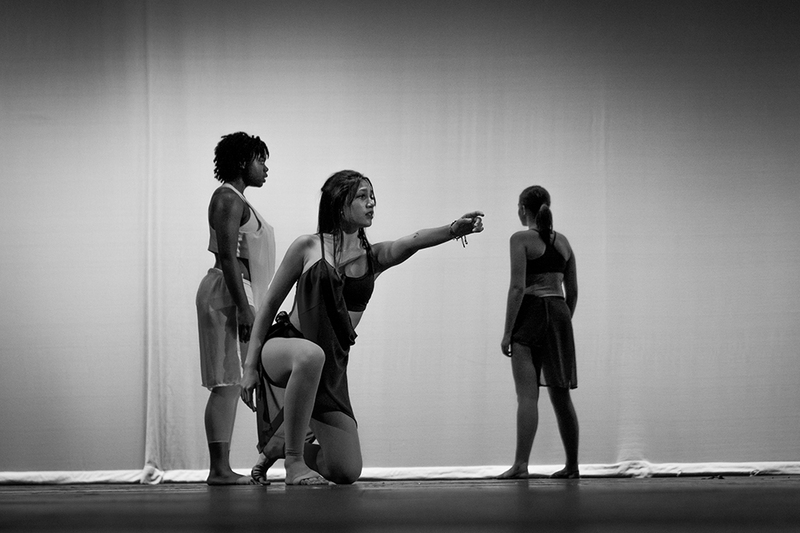 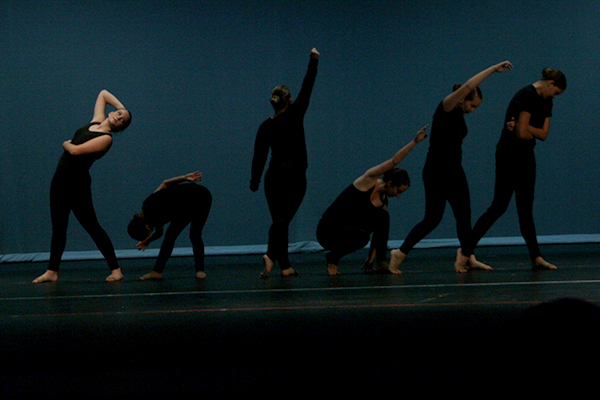 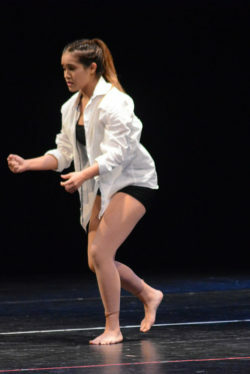 DSPA had two shows, separated by the first Choreographer’s Showcase, where Samantha Perry received the People’s Choice Award. 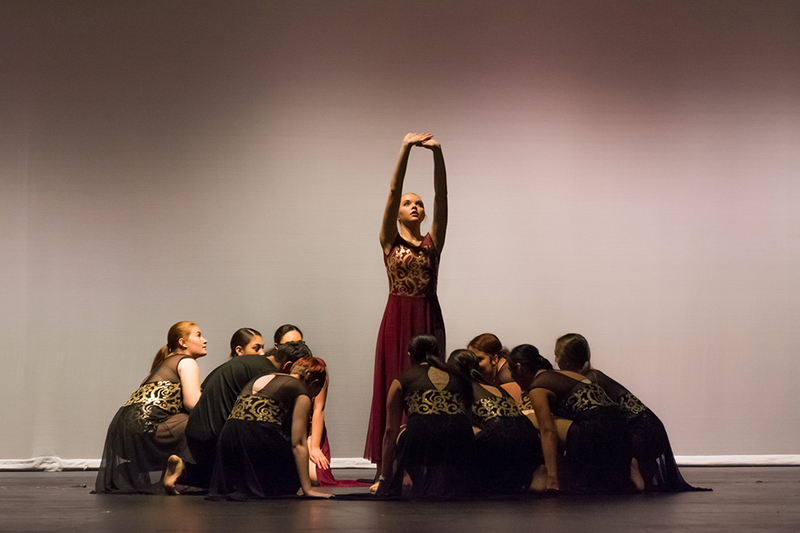 When: June 3, 3 p.m.
Where: Maricopa Performing Arts Center, 45012 W. Honeycutt Ave. 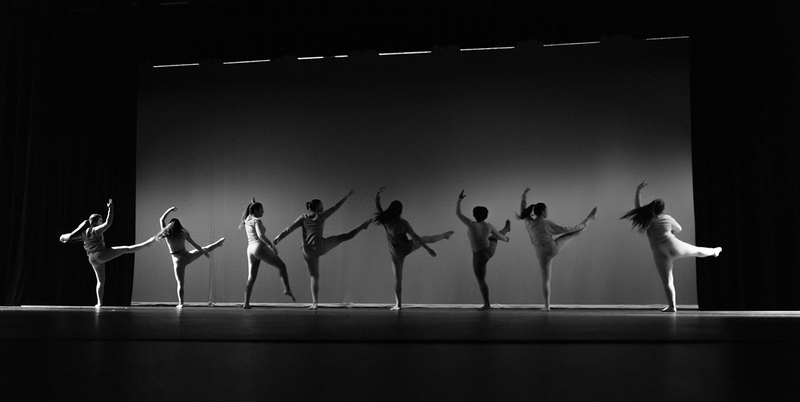 When: June 3, 1 p.m. & 5:30 p.m. 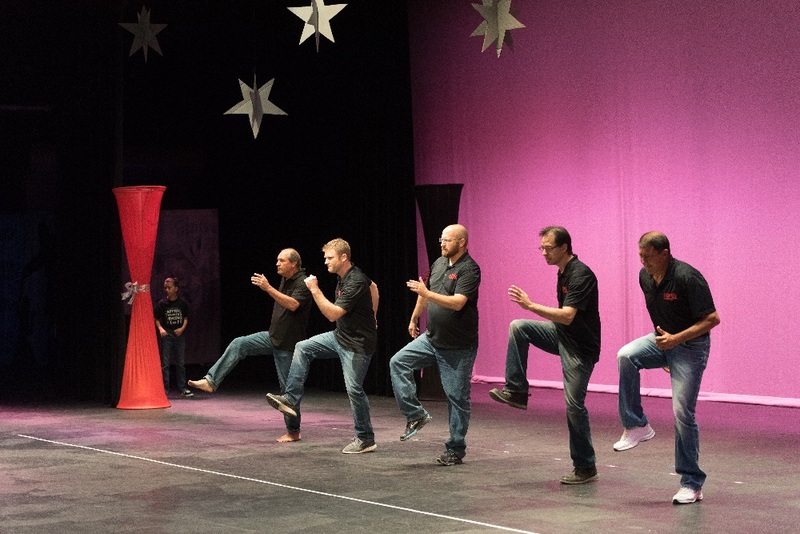 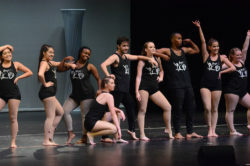 Besides the established schedule of fine arts and performing arts events, Maricopa Arts Council’s arts expo introduced the city to poetry slams, studio crawls, a world music showcase, performing arts gala and a movie-shorts competition. 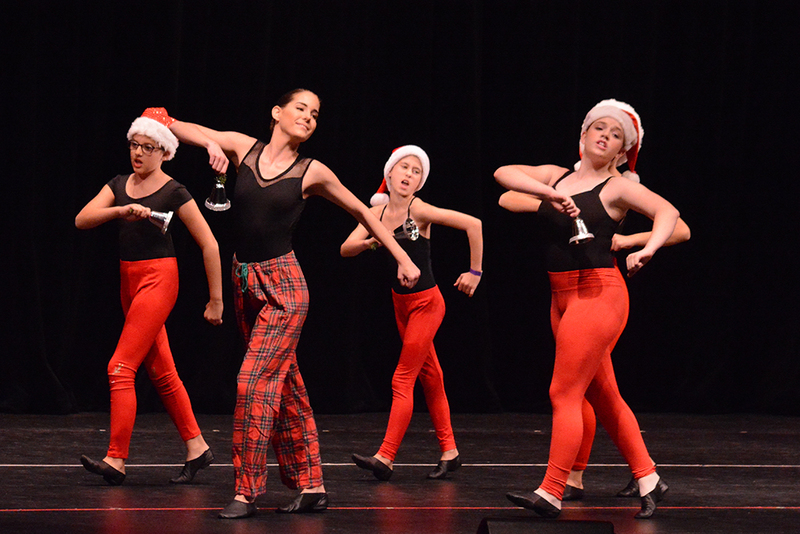 The concluding event is another Maricopa first: ONYX Young Choreographers Showcase. 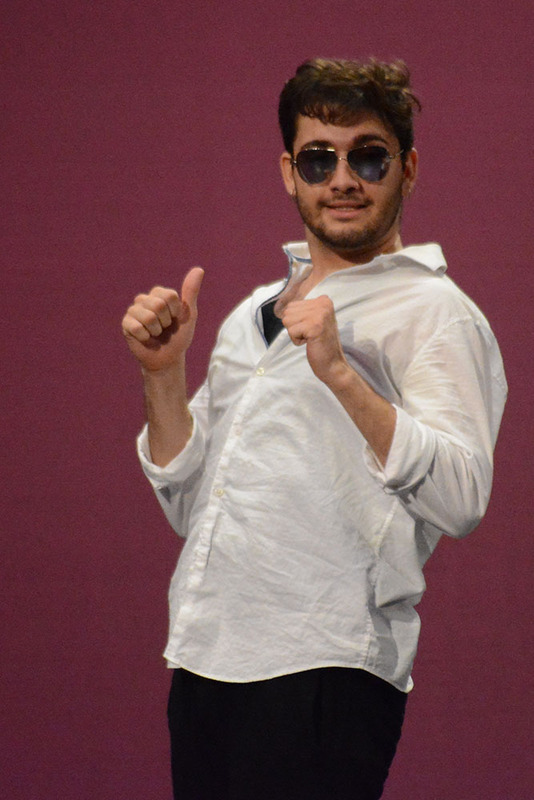 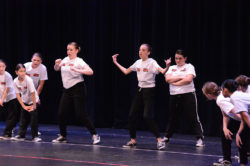 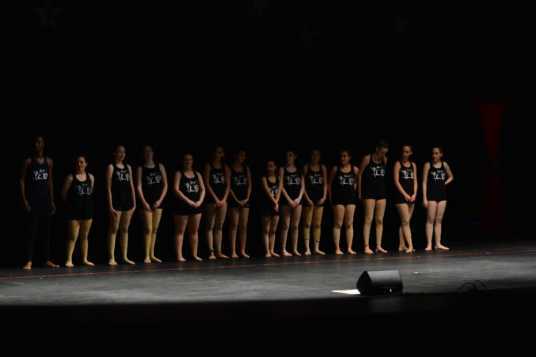 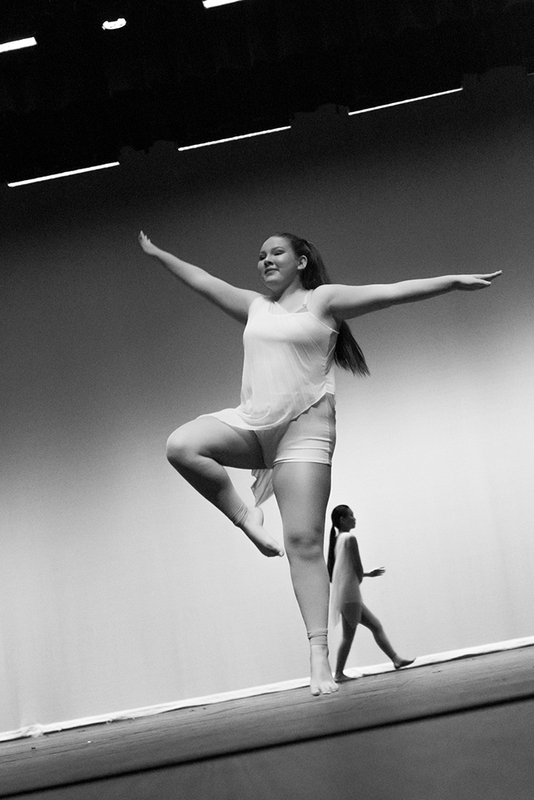 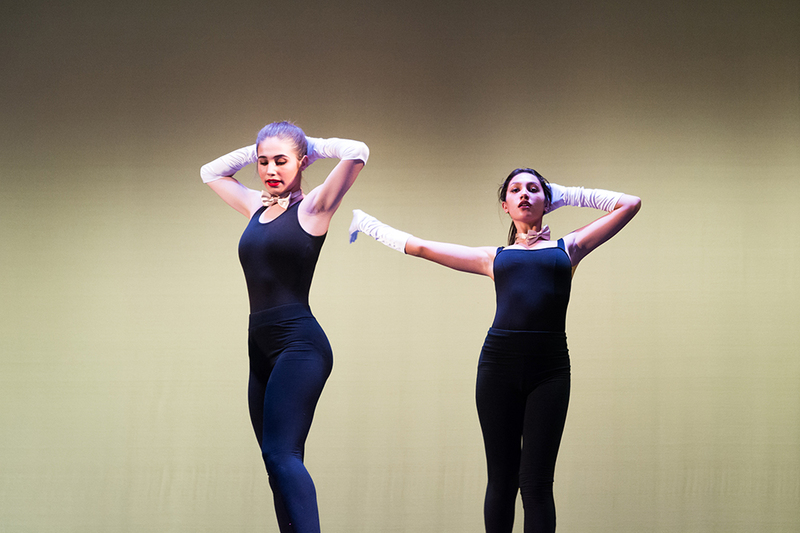 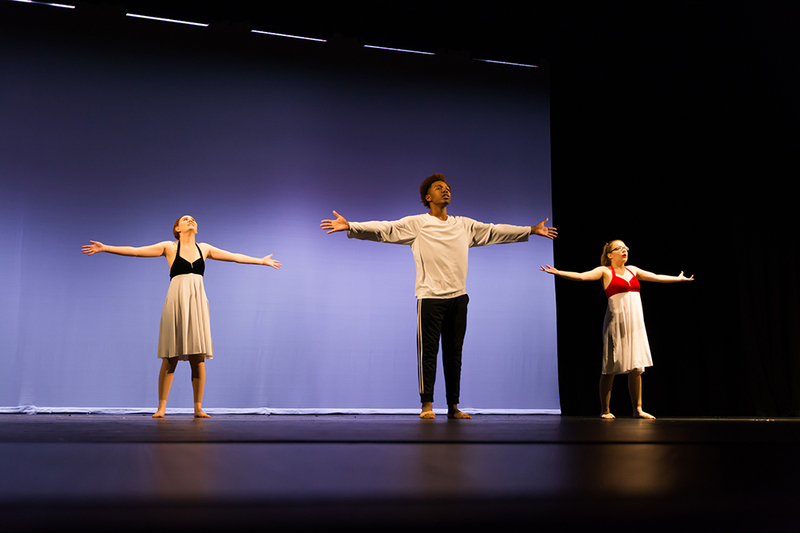 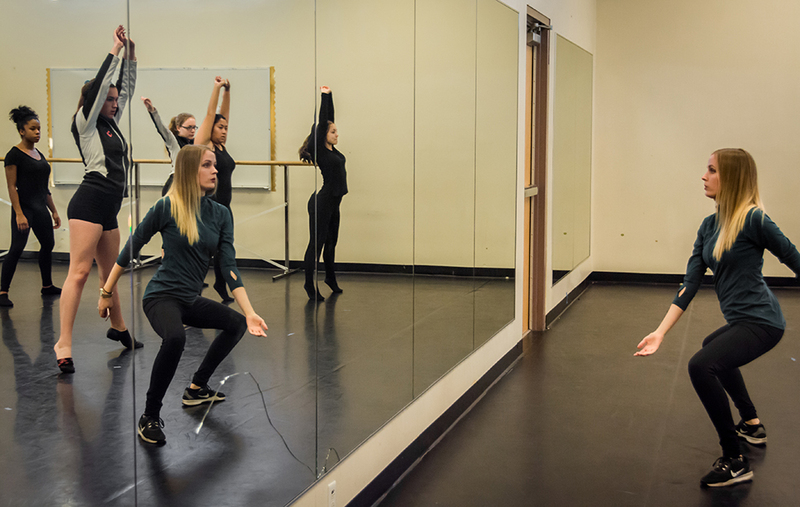 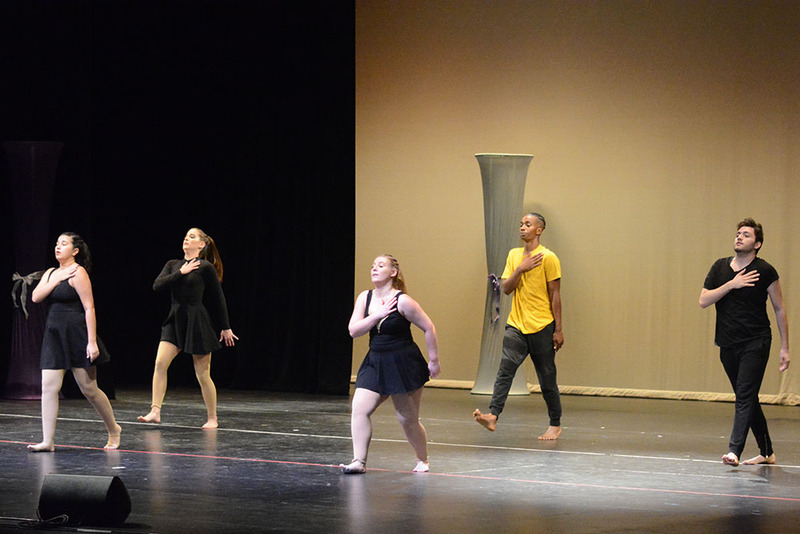 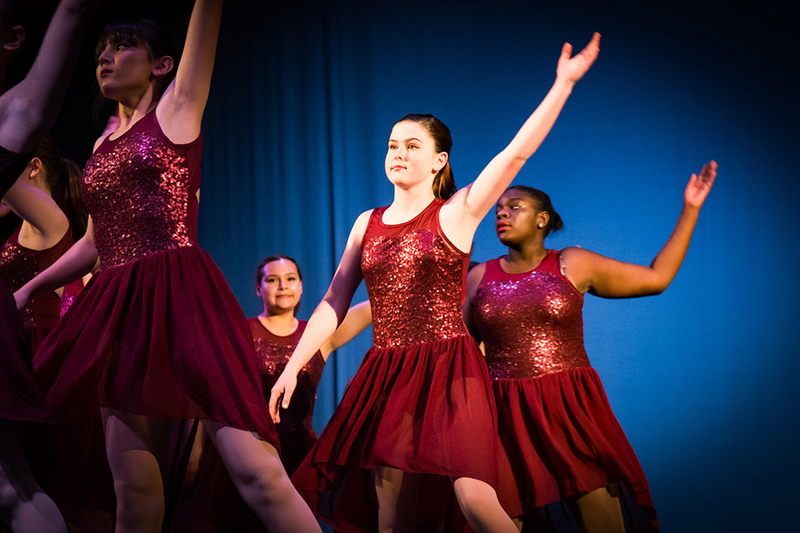 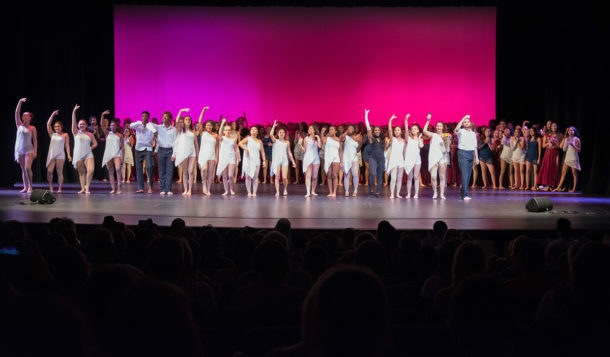 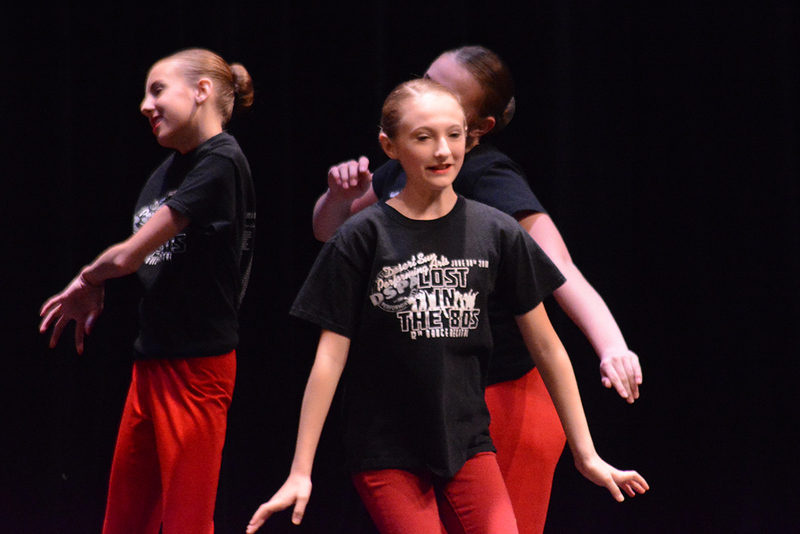 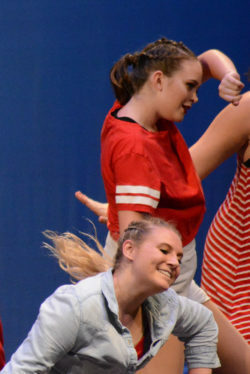 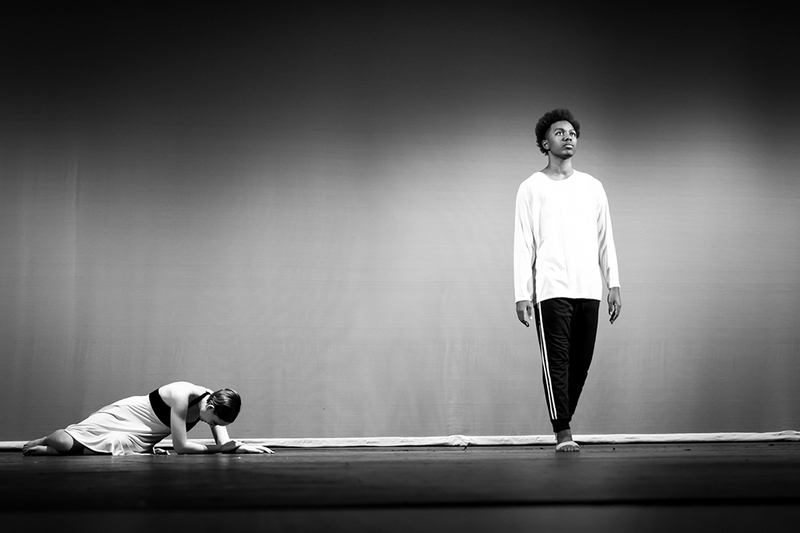 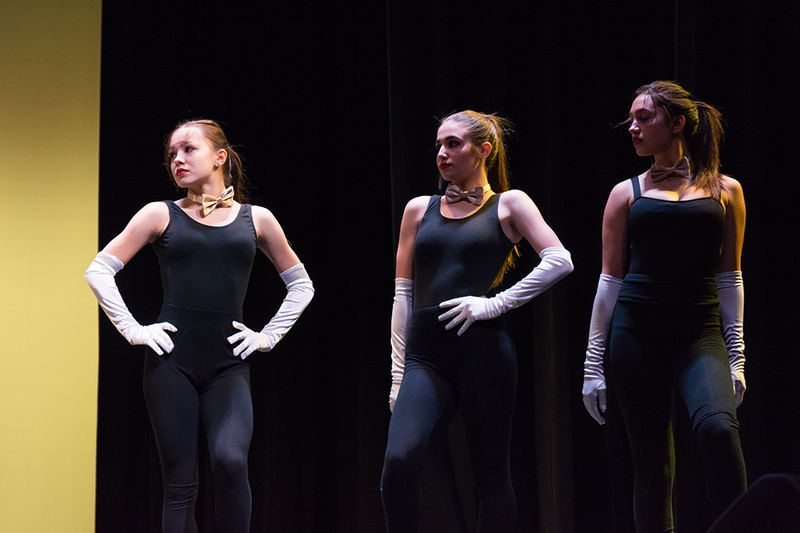 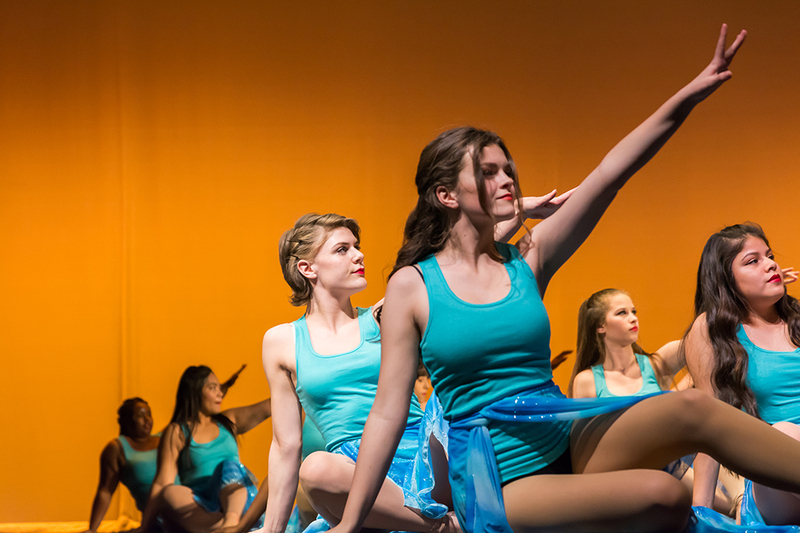 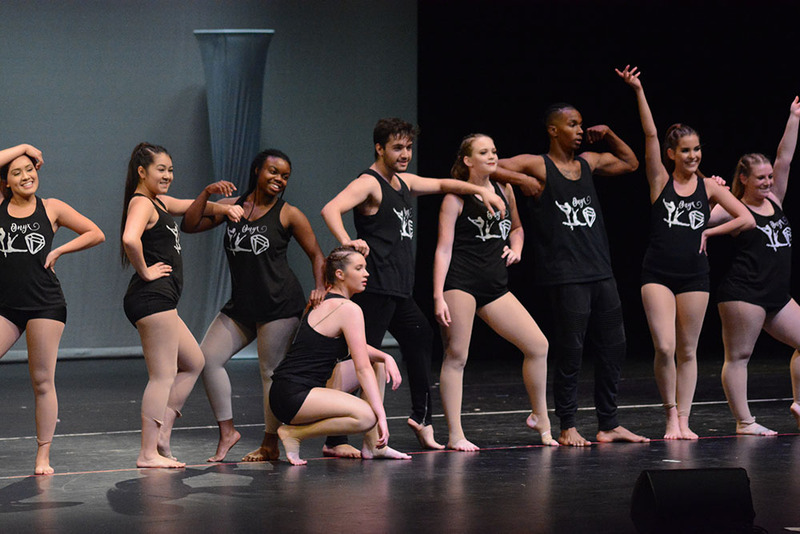 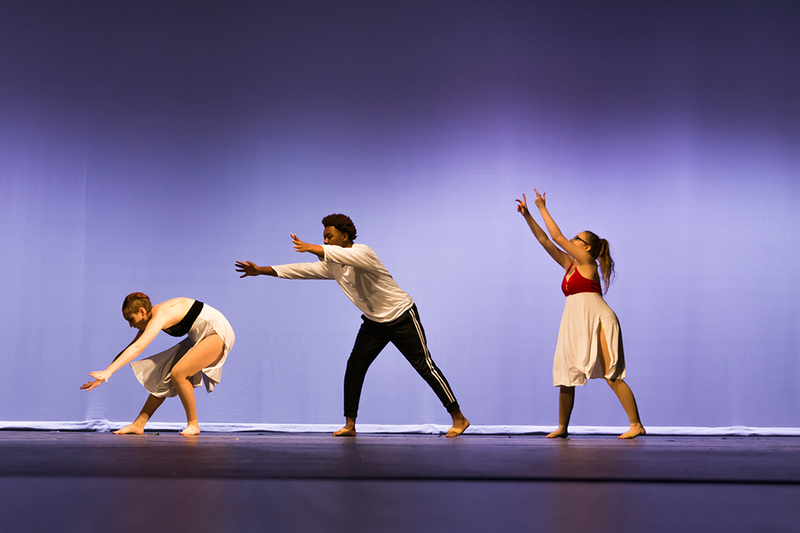 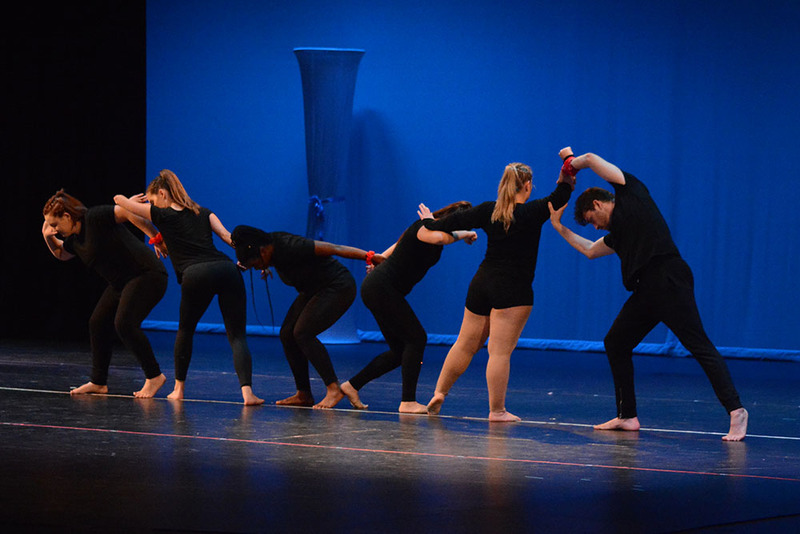 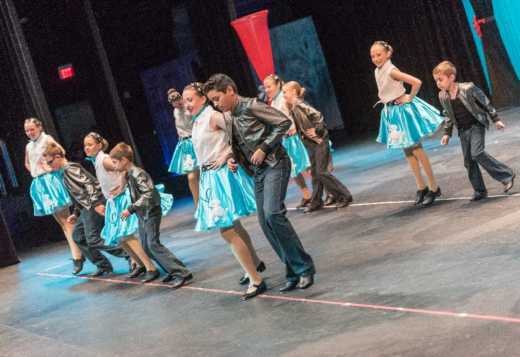 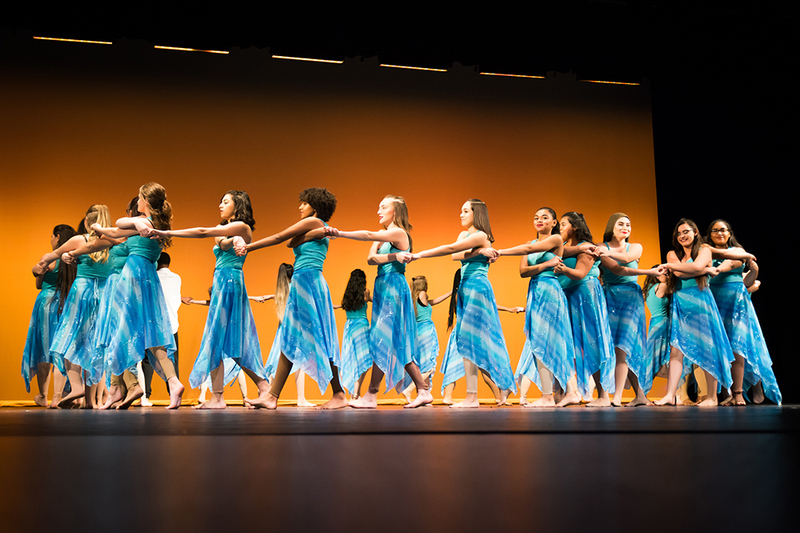 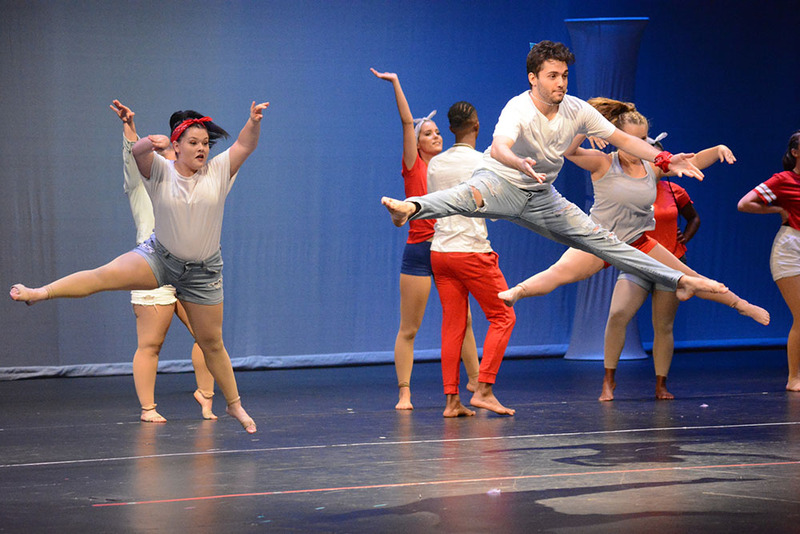 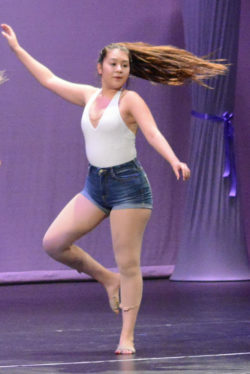 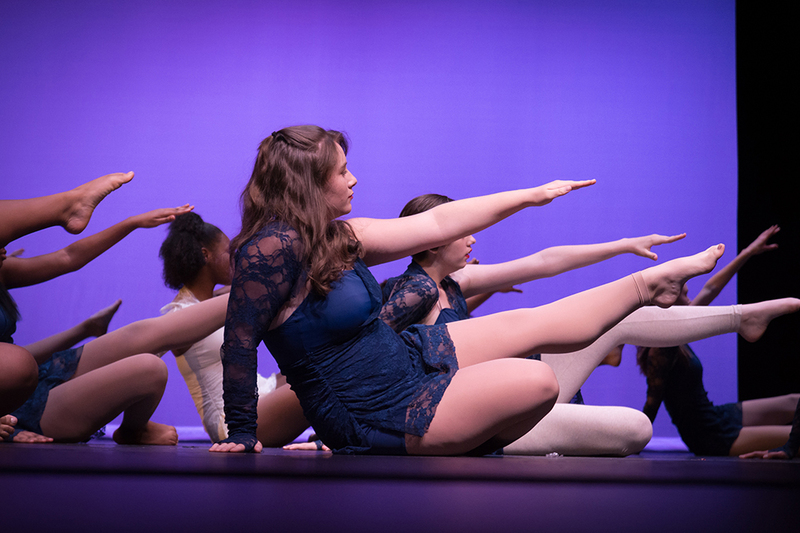 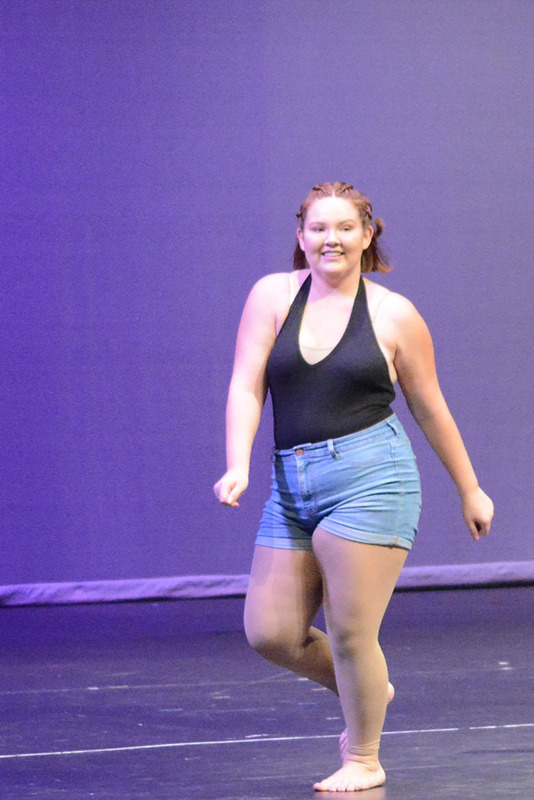 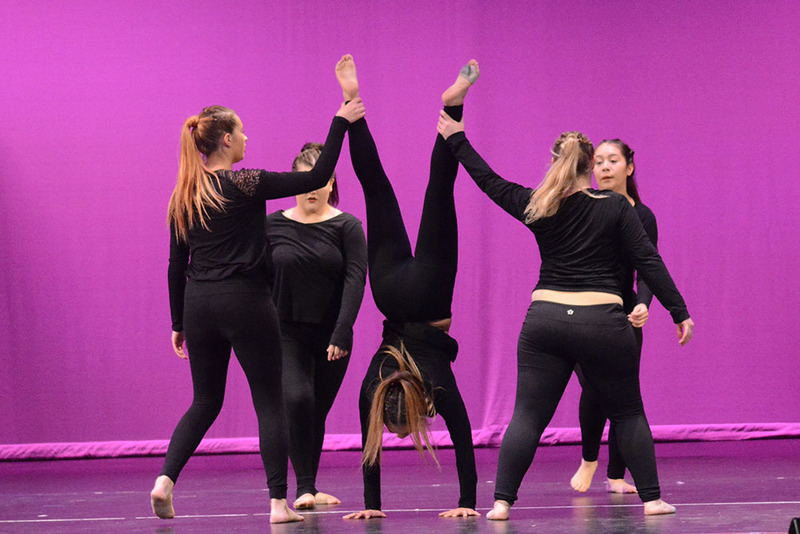 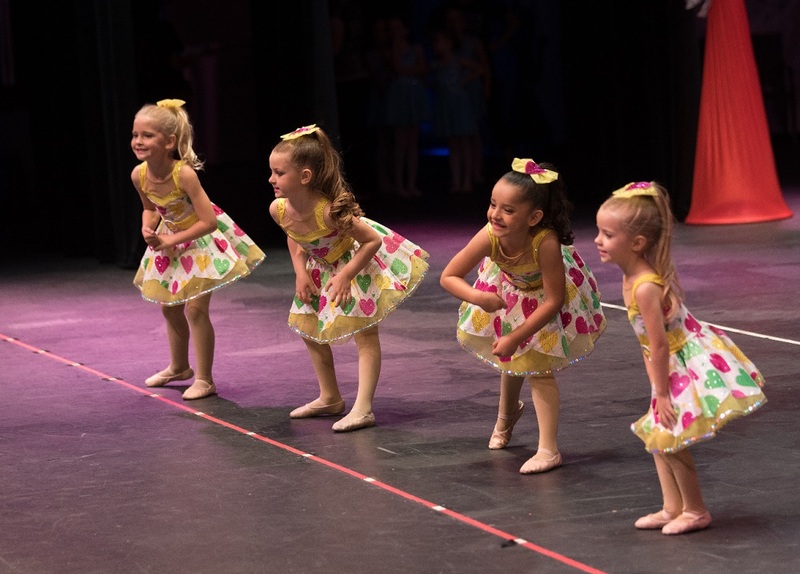 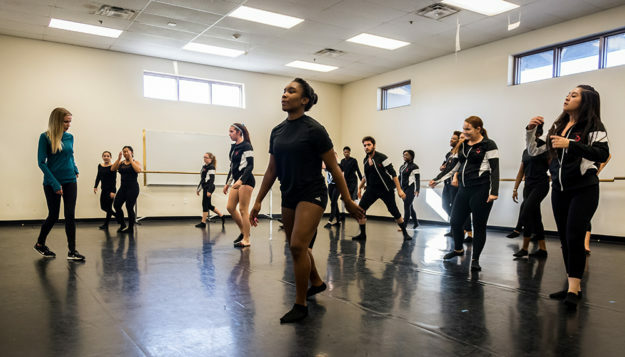 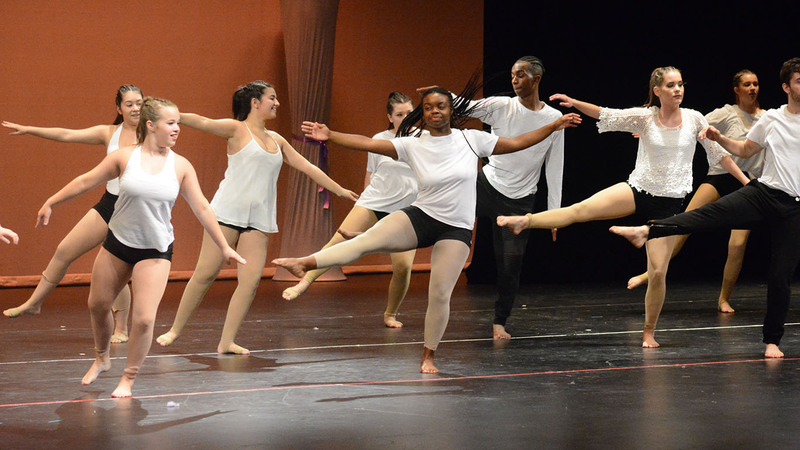 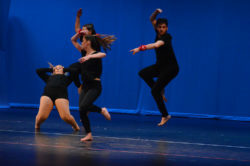 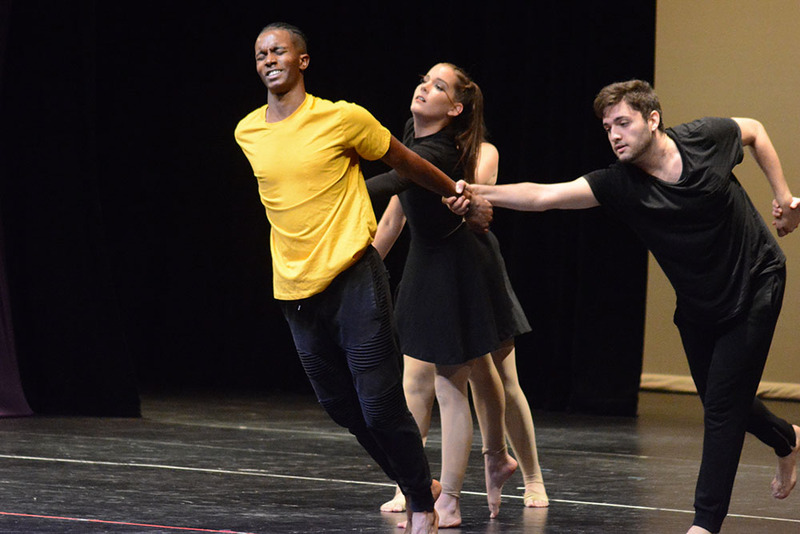 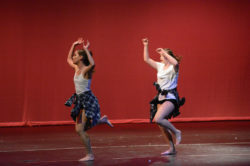 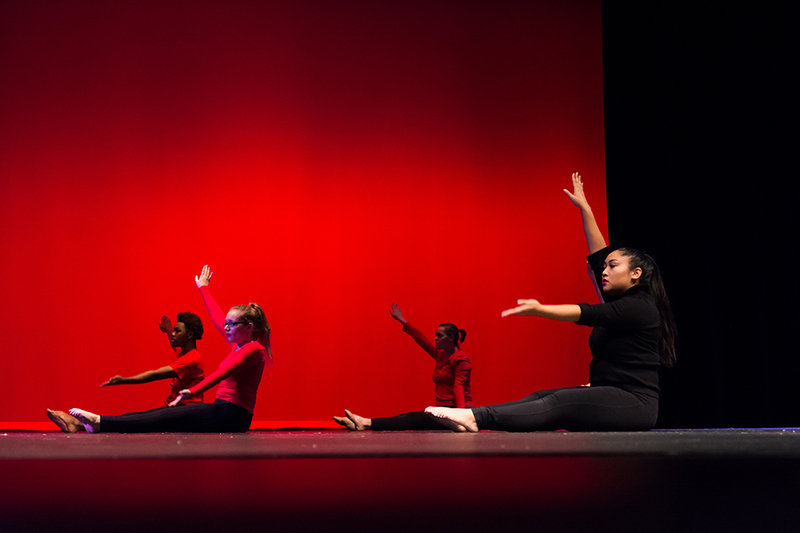 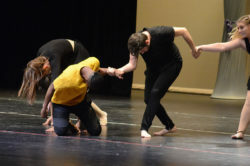 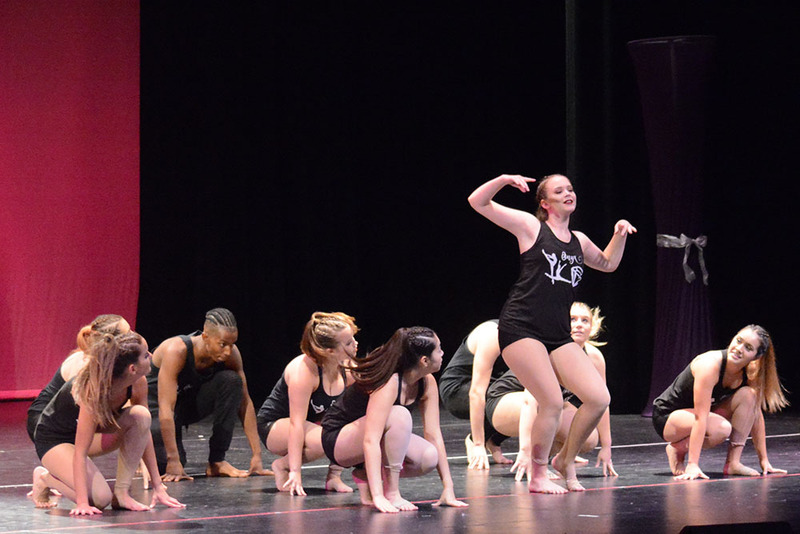 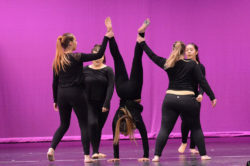 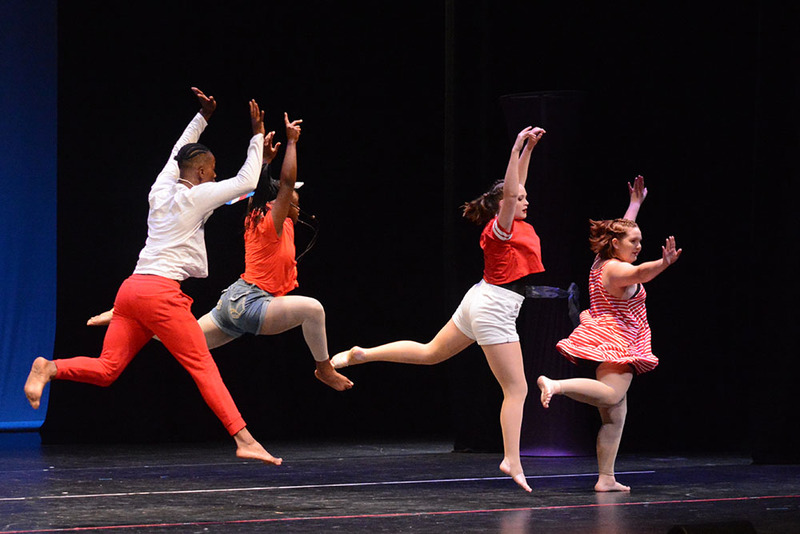 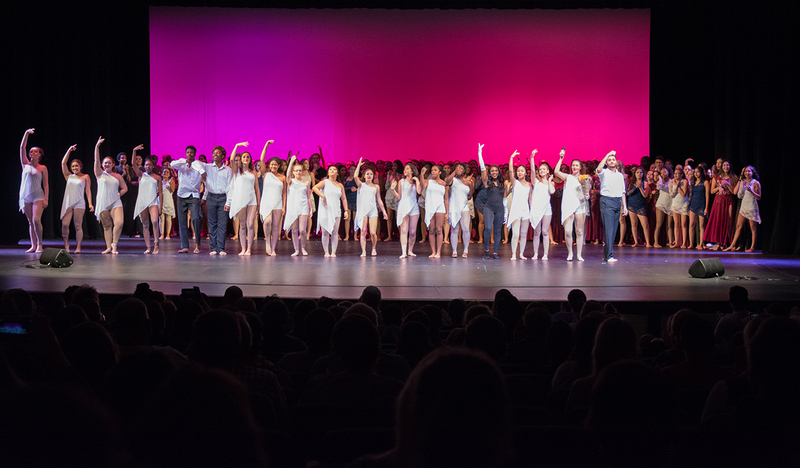 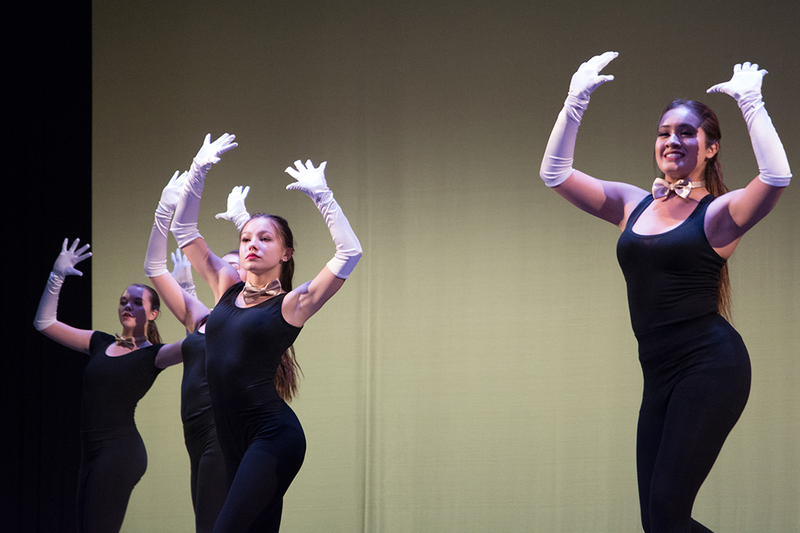 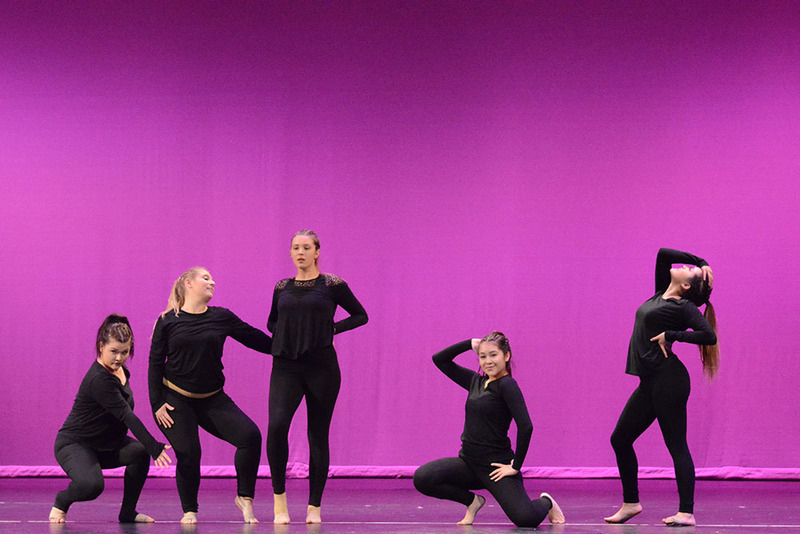 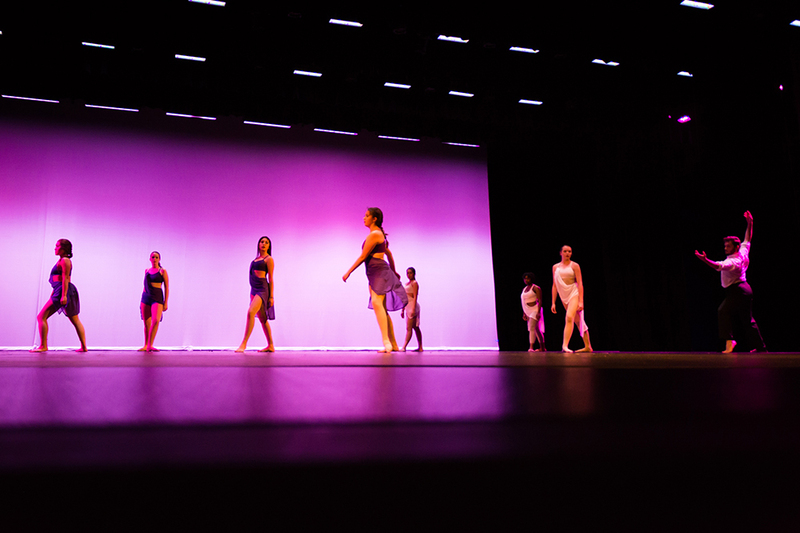 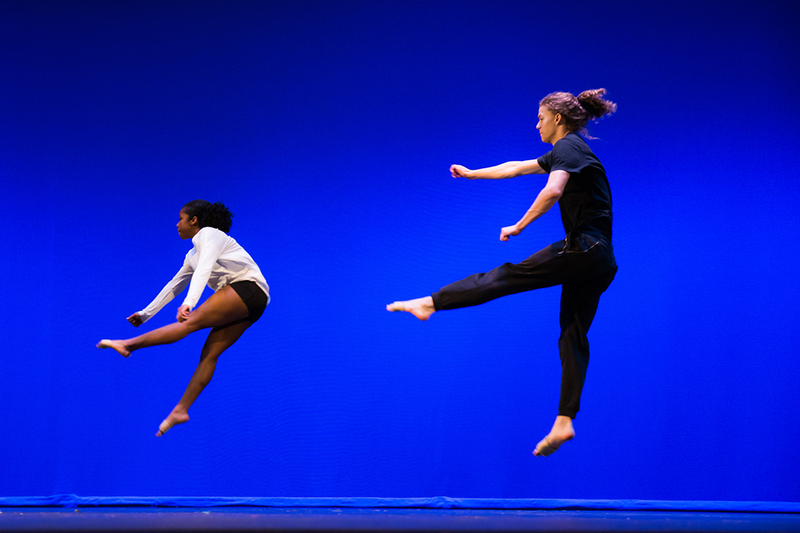 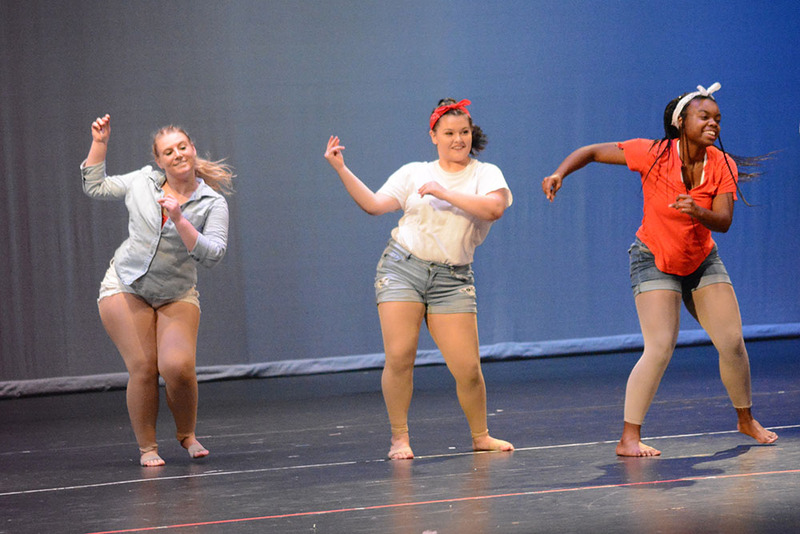 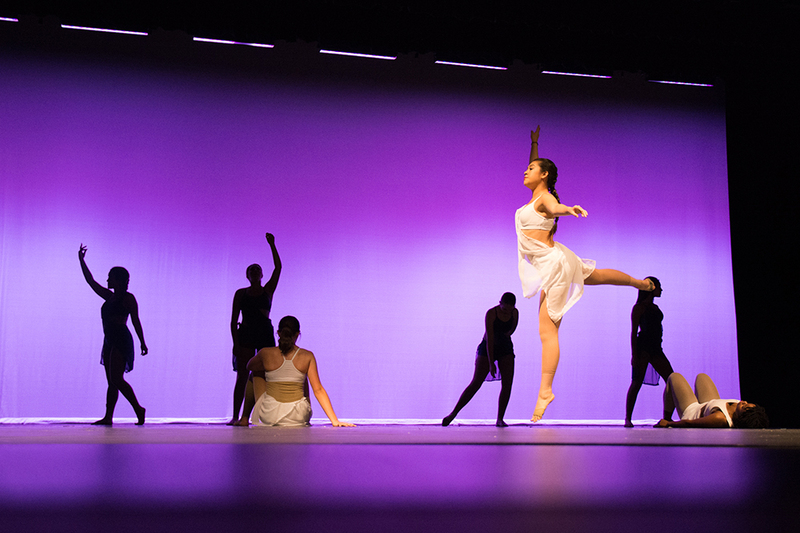 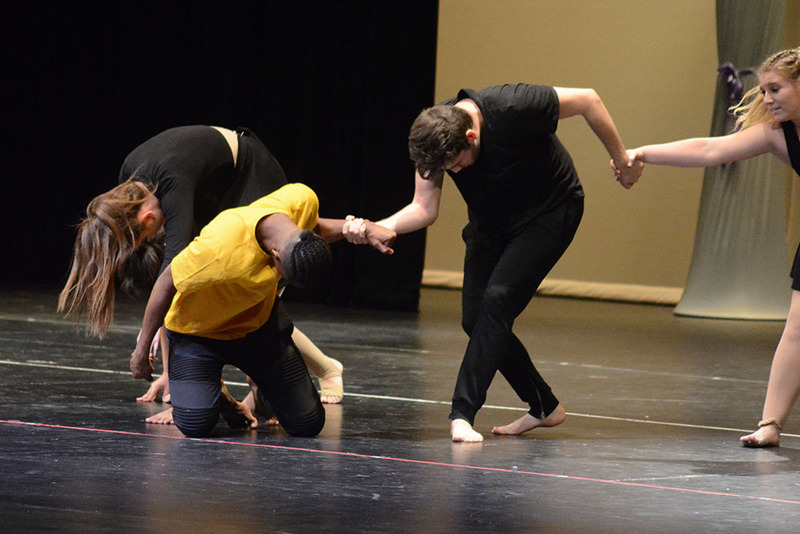 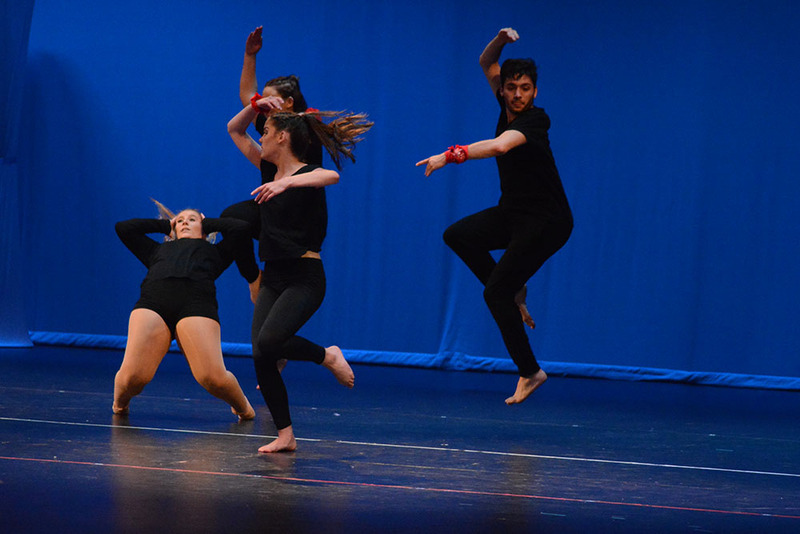 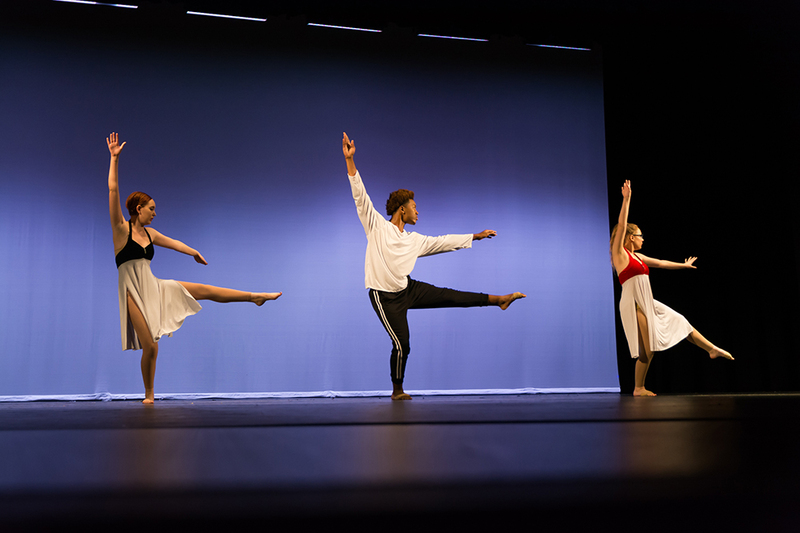 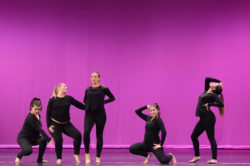 Staged in between two performances of the 11th annual DSPA recital “Better When I’m Dancing,” the choreography challenge will be judged by the audience. 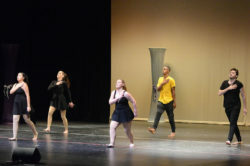 People’s Choice awards go to first, second and third place, with prize money of $300, $150 and $50, respectively. 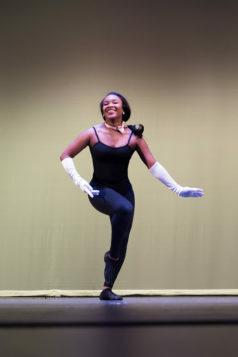 Gentilella said the event was originally conceived as an adult competition, but she was seeing something special among her ONYX troupe. 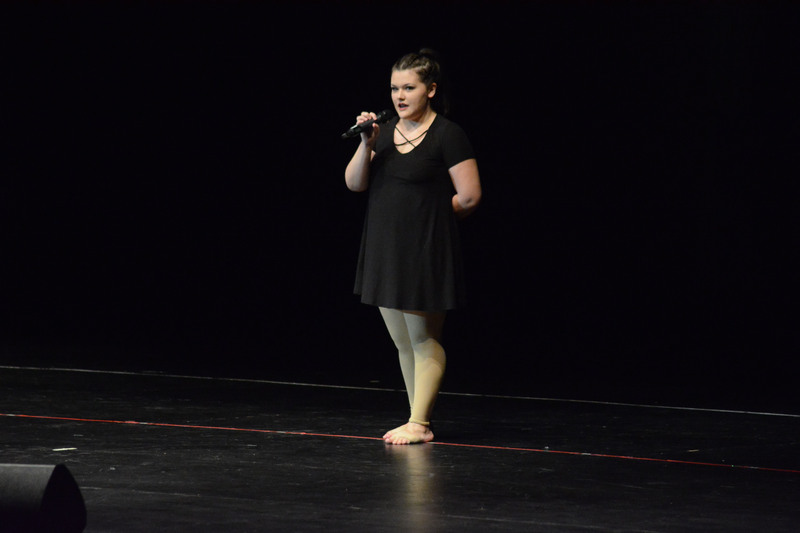 “We’ve got real talent,” she said. 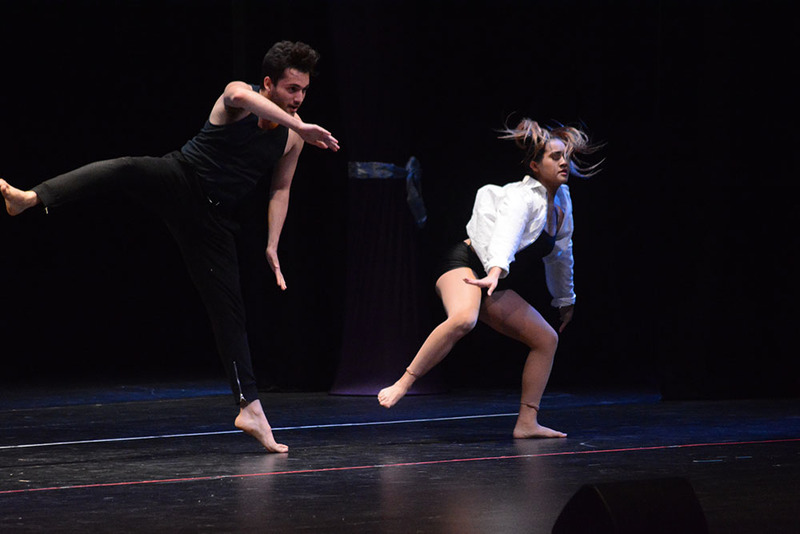 Eddie Perry, part of the Maricopa High School Class of 2017, has already choreographed locally for Families First CDC. 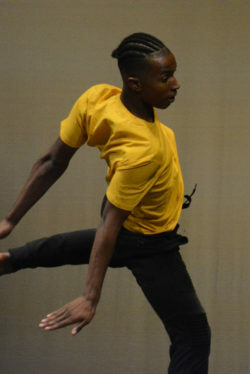 He is one of the nine choreographers presenting six dances. 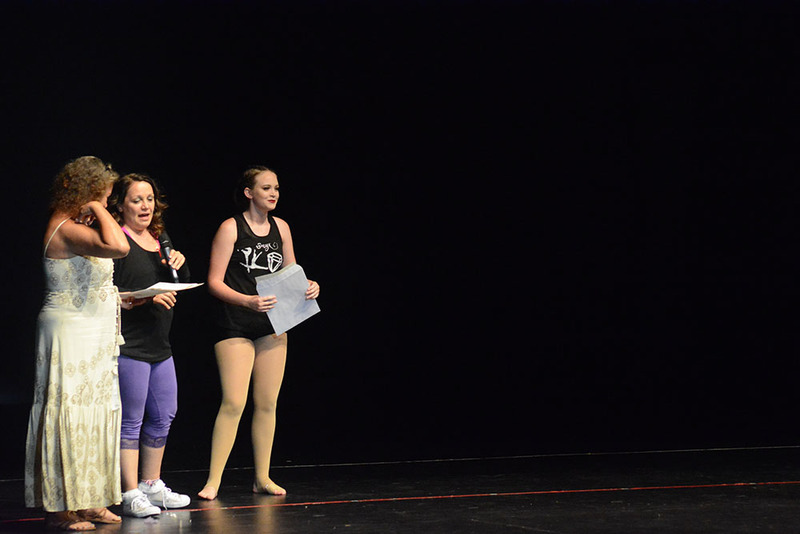 “I love choreographing because it helps me with my teamwork and being able to communicate properly,” he explained in his pre-recital notes. 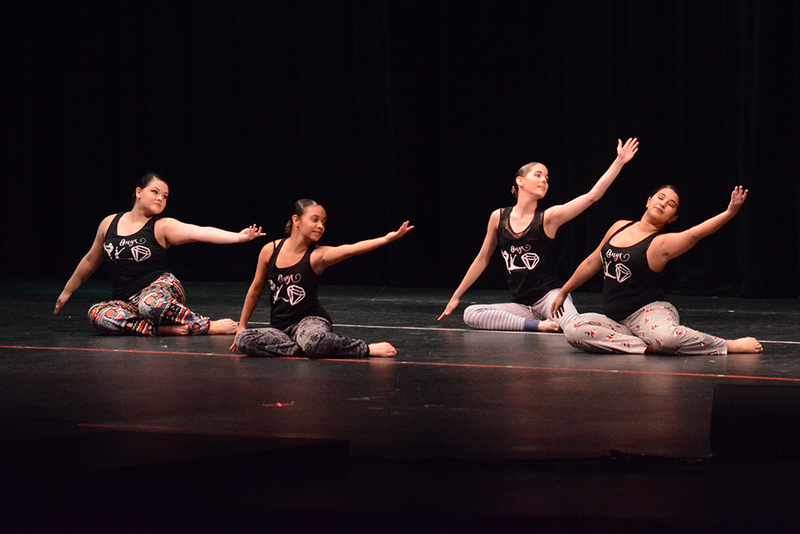 Dances in performance are also choreographed by Riley Bell and Erin Hildick, Allison and Madison Tucker, Giselle Sanchez and Crystabel Sanchez, Samantha Perry and Katie Sherrod. 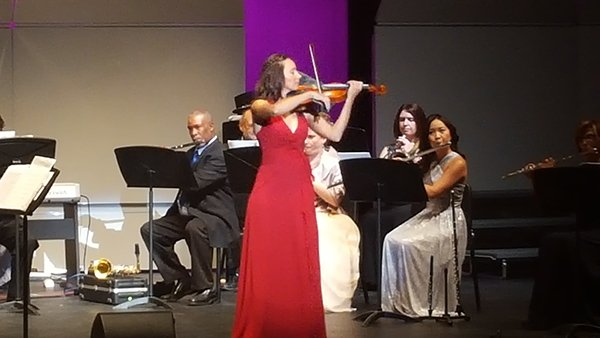 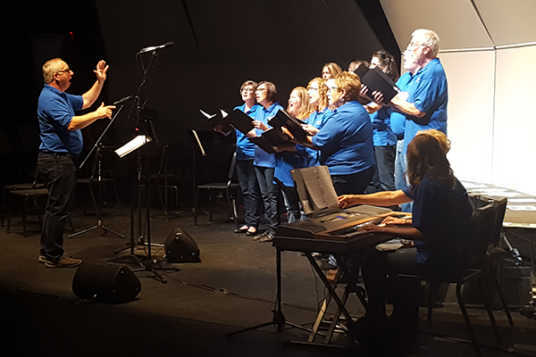 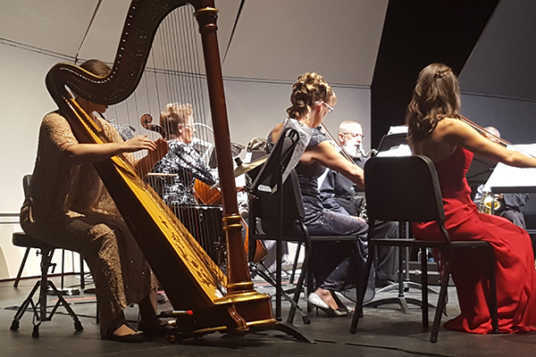 Musicians with Maricopa Music Circle, singers with the Maricopa Chorus and dancers from Desert Sun Performing Arts presented the inaugural Performing Arts Gala Oct. 22 at the Maricopa High School Performing Arts Center. 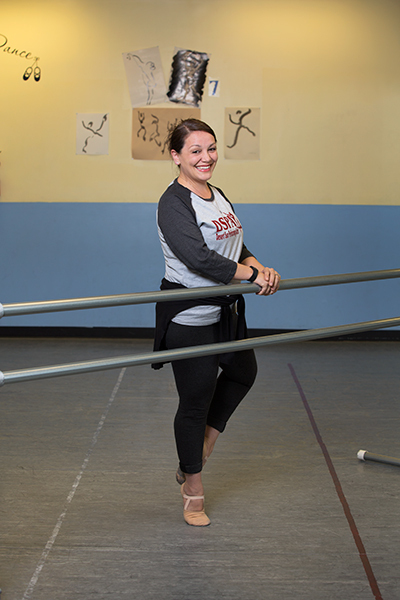 When Glennwilde Groves resident Ceylan Gentilella was in college, she moved from dance to recreation therapy. 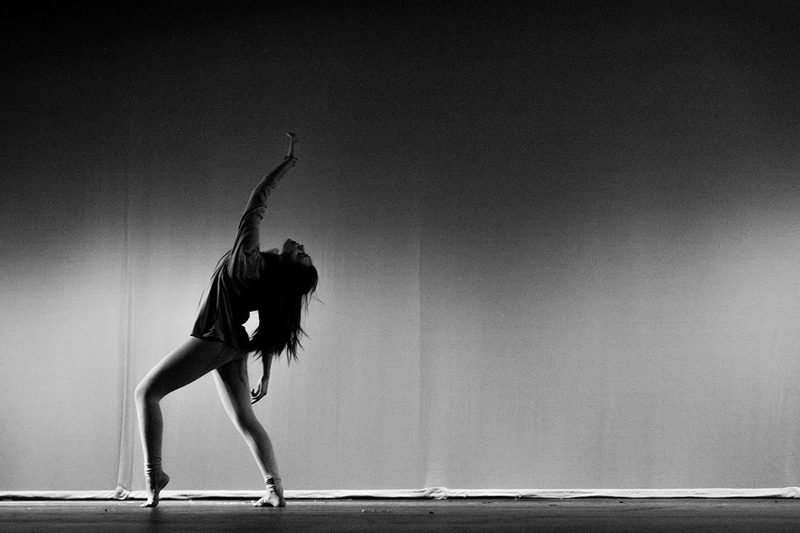 It was a choice that would impact the lives of those around her as much as her own. 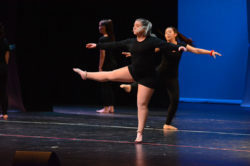 The New Jersey native attended Montclair State University and earned two degrees – one in dance and one in therapeutic recreation. 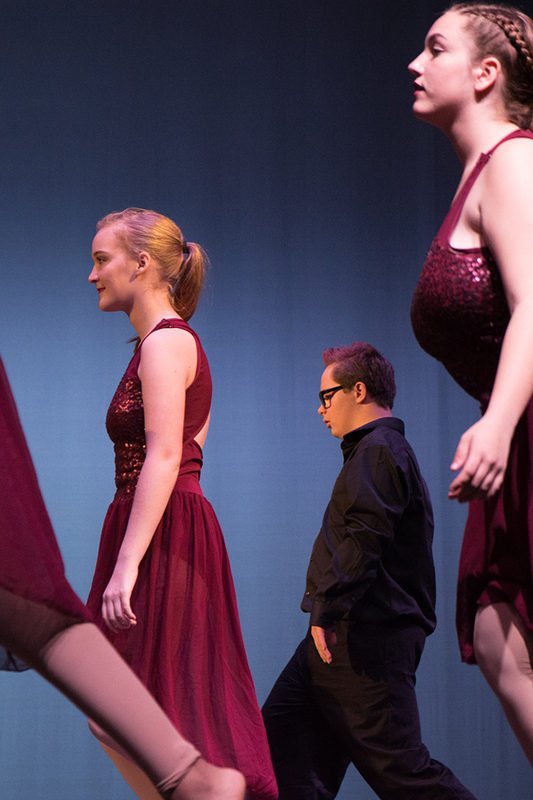 With her newfound passion for helping those with special needs, she started a wheelchair dance program and in 2003 was approached to start a dance program for youth with severe and nonverbal forms of autism. Today, Gentilella continues to make a difference in the lives of children through her dance studio Desert Sun Performing Arts (DSPA). 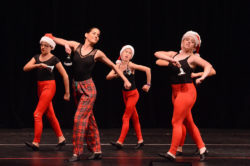 The studio is the only brick-and-mortar dance school in Maricopa and is celebrating its 10th season in business. Providing both recreational and intensive dance to youth age 2-18, the studio also offers a program called “Inspire” for children with autism. 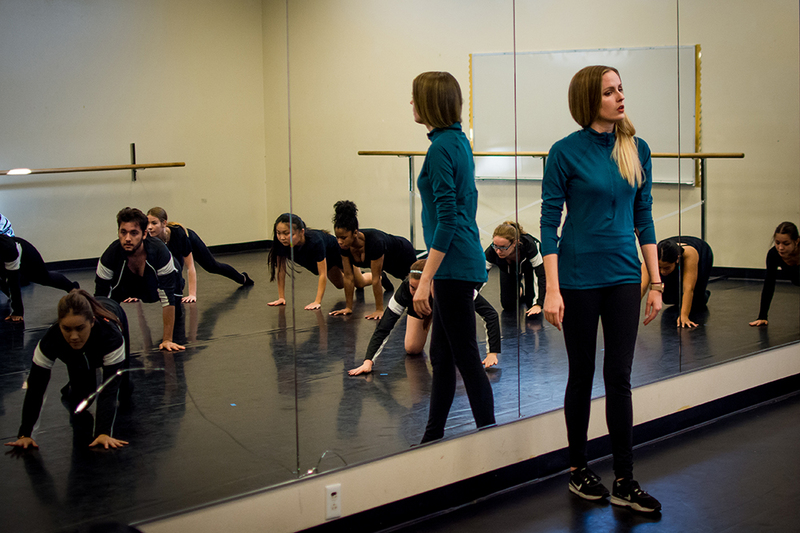 Gentilella also founded the studio’s nonprofit DSPA Gems, which helps those without the financial means to access dance classes. 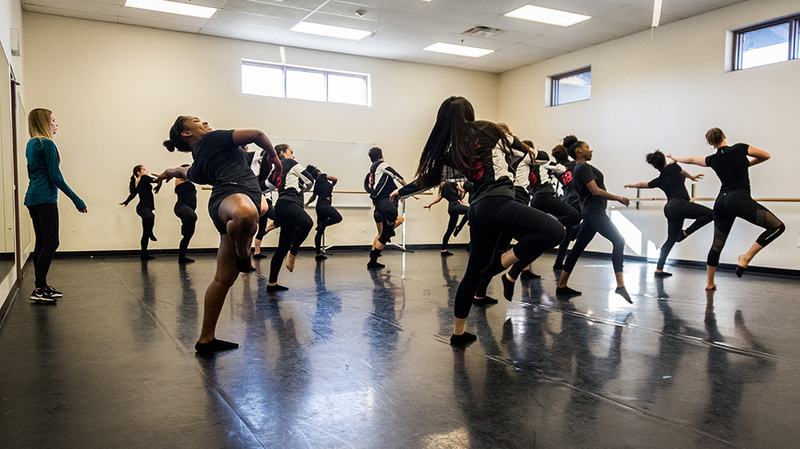 To date, the program has awarded $20,000 to youth in Maricopa. 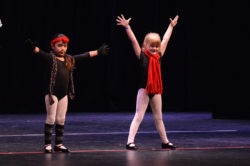 And this includes children with autism – many of whom require additional considerations when learning to dance. 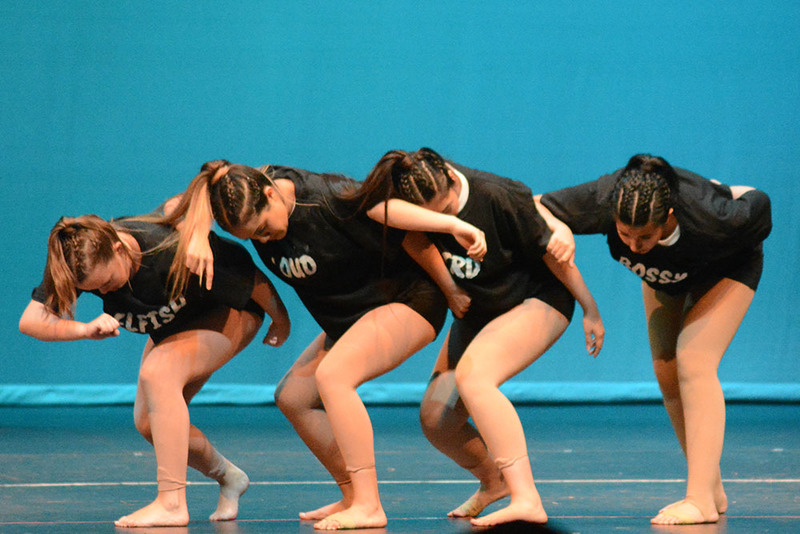 “Will their shirt fit properly? 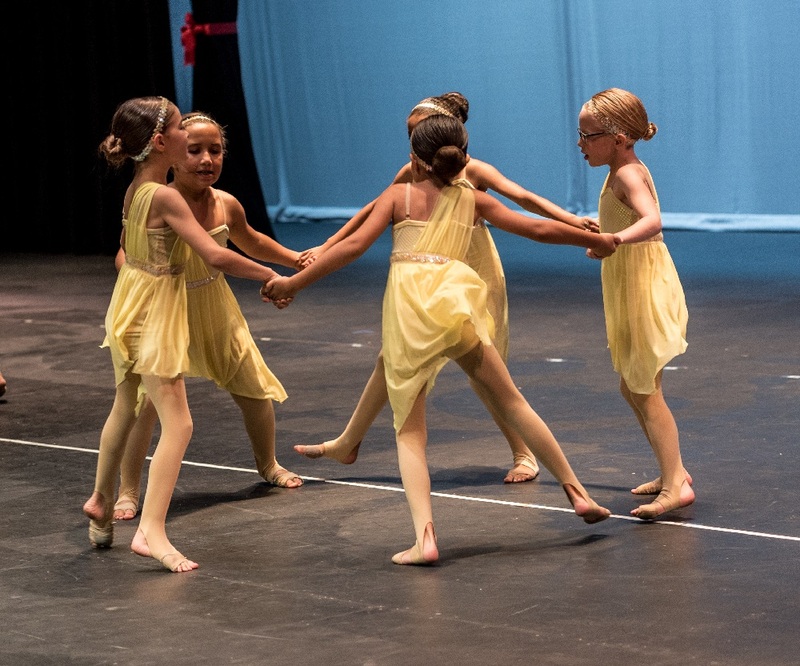 Can you touch the child to fix their movement? 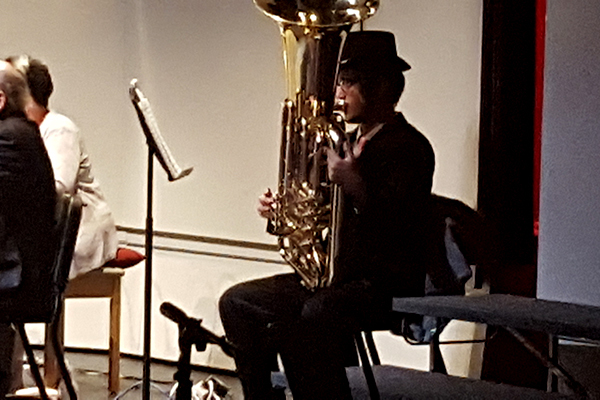 What is their comfort level with the music and bass acoustics? 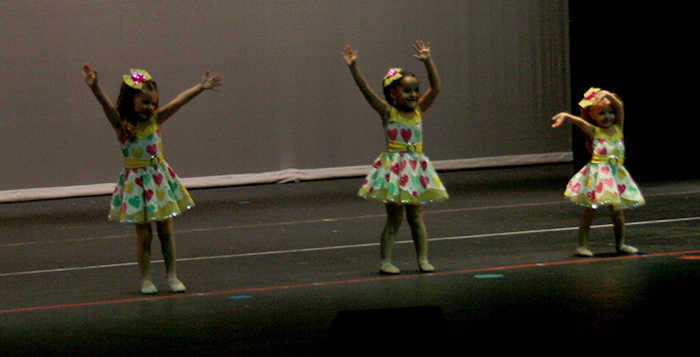 Will they have a meltdown?” Gentilella says. 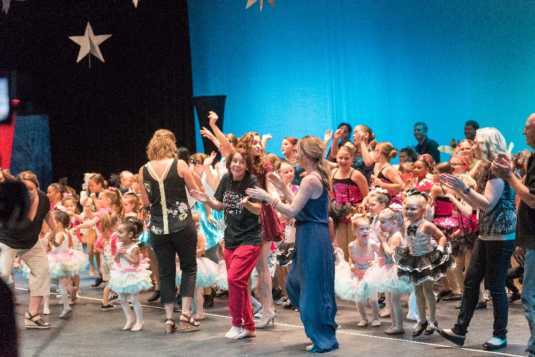 There are accommodations that must be made to ensure a positive experience for youth with autism, but they are also accommodations Gentilella has come to know well. 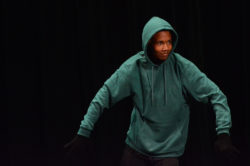 Seven years ago, she gave birth to her son Matthew, who was diagnosed with autism at age 3. “I think all of my training was God preparing me,” Gentilella says. 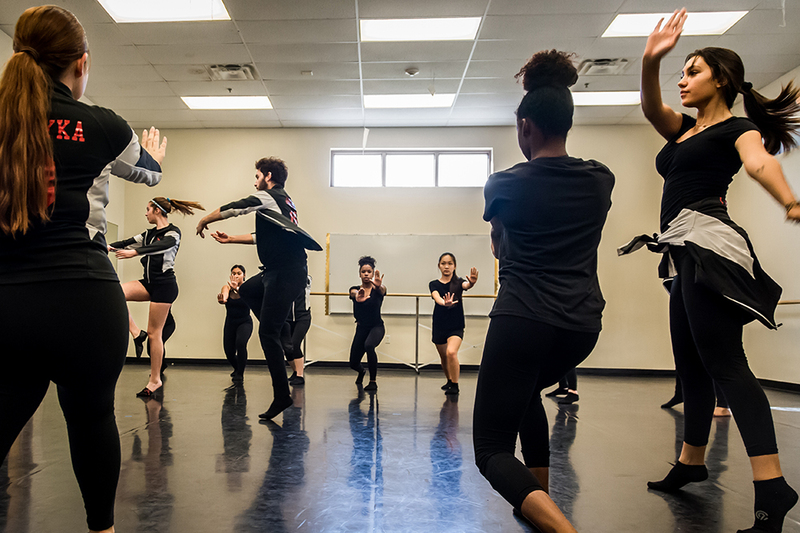 As a small-business owner in Maricopa in a traditionally tough industry to survive, Gentilella has worked hard for years to keep the doors to her business open and her studio thriving. And although her business success has not come easy, her greatest challenge has been raising her son. 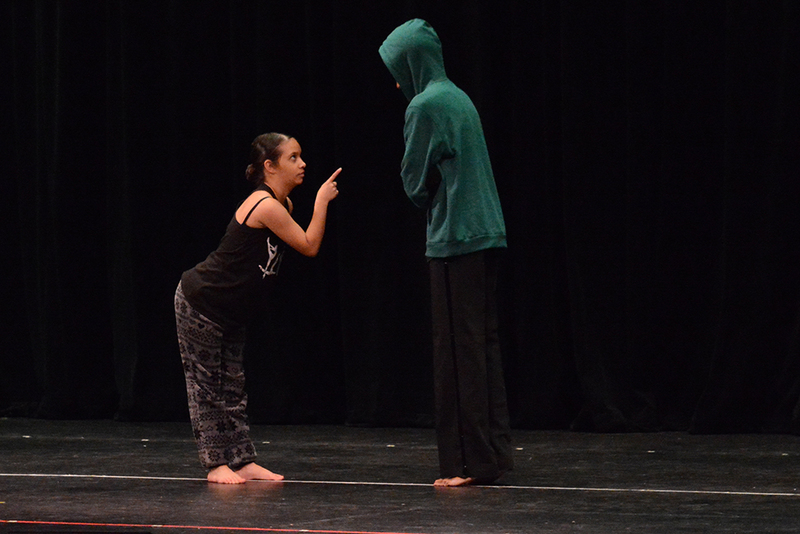 “It’s been the hardest thing I’ve ever done in my life, to be a mother of an autistic son,” Gentilella says. 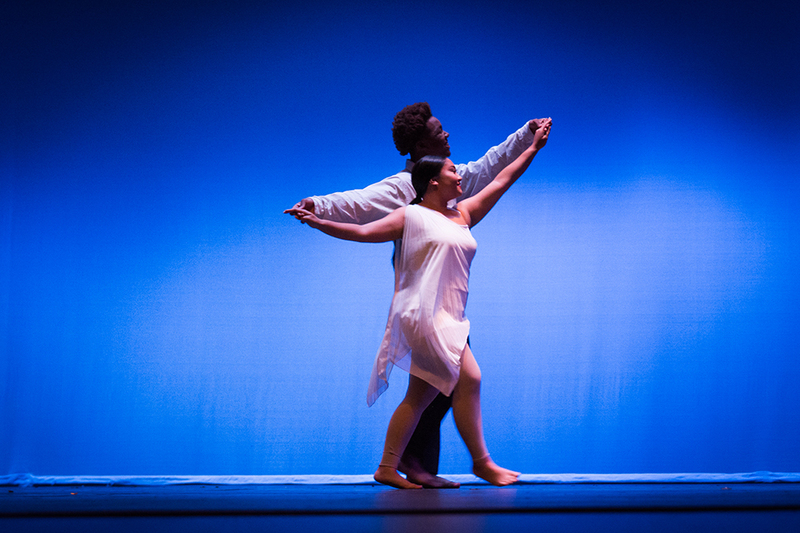 She has fiercely advocated for Matthew both inside and outside of the classroom and fought for the critical resources he needs. 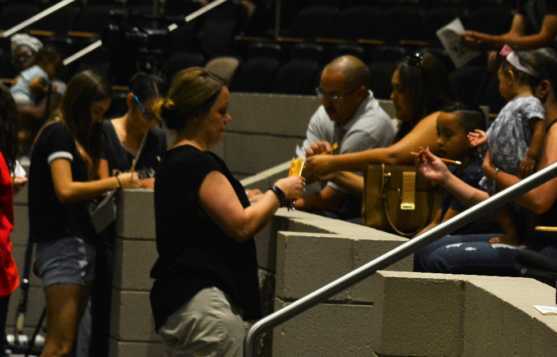 Her experience prompted her to start Parent Support Maricopa, which brings parents of children with autism and special needs together for advocacy and resource-sharing. 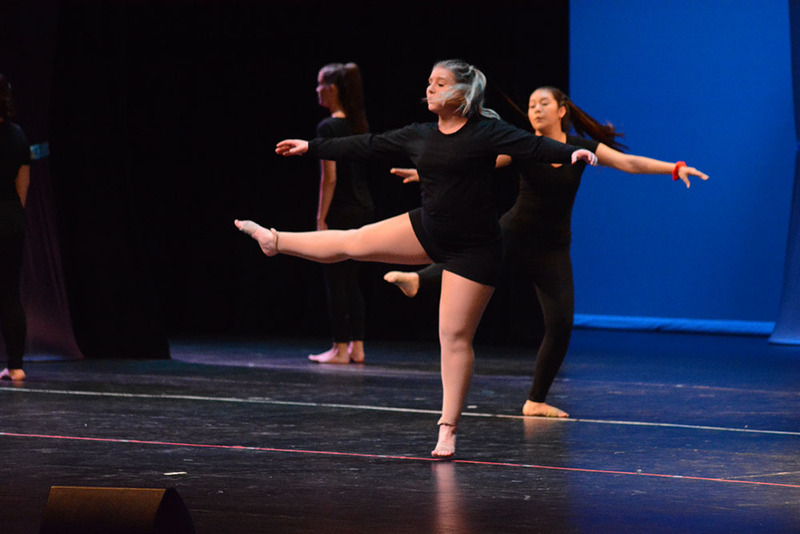 Sarah Doyle, dance instructor for DSPA, says she admires Gentilella’s perseverance as both a businesswoman and a mom to a youth with special needs. 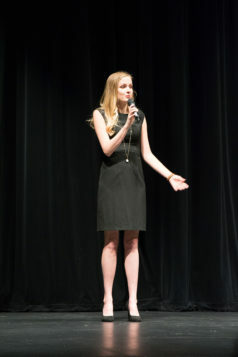 “She is very smart and super organized,” Doyle says. 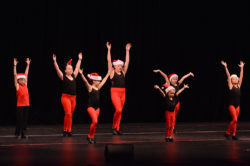 Doyle’s children, ages 6, 9 and 12, also dance at the studio and love it. 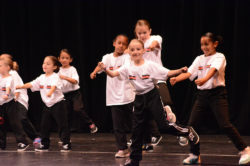 Two of her children are boys and take hip-hop classes. 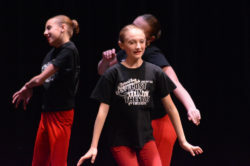 “It’s been so fun to see them grow and appreciate music and dance,” Doyle says. 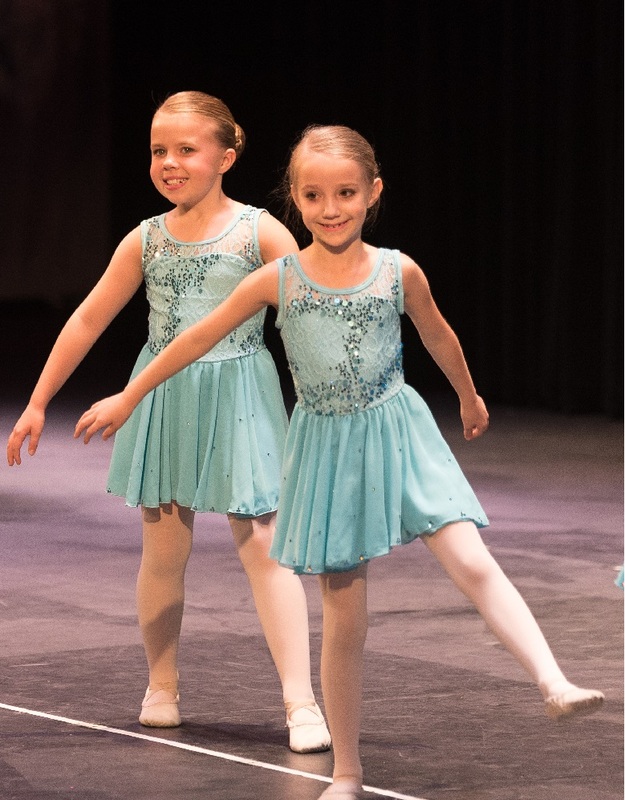 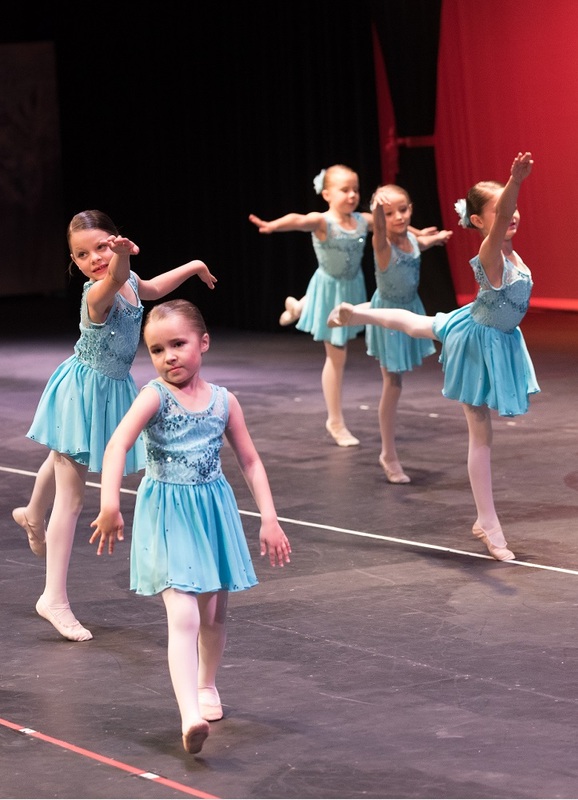 Even those families who haven’t traditionally been involved with dance have found Gentilella’s dance studio to be a positive place for youth to dance and grow. 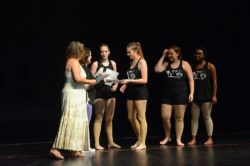 One of those is Maricopa resident Karra Hathaway, whose 11-year-old daughter Chandler has danced at DSPA all 10 seasons. 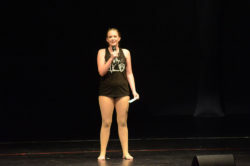 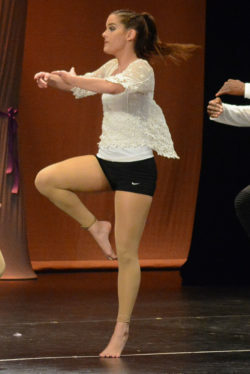 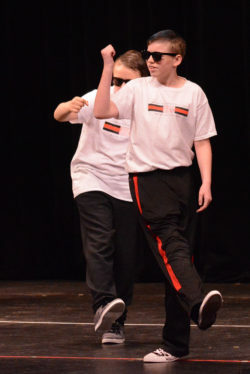 Chandler has danced competitively and takes every class offered, including hip-hop, jazz, ballet, tap and even clogging. 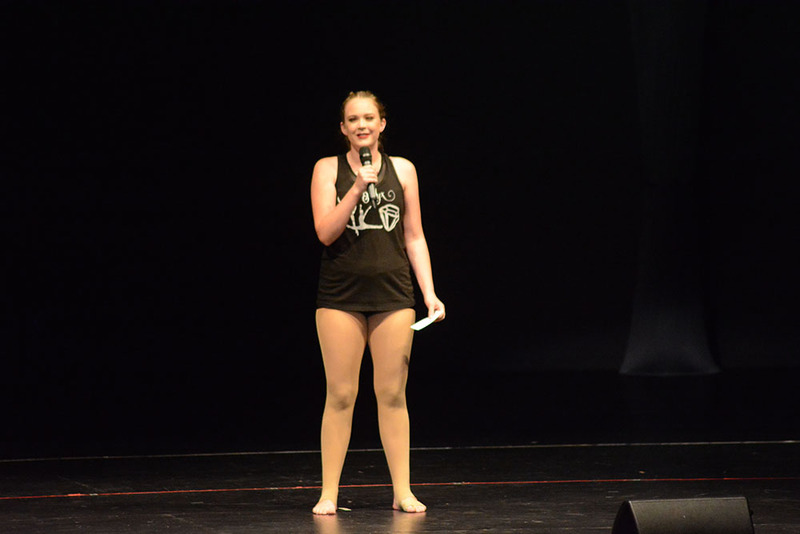 Hathaway jokes that she will never be a “dance mom,” but said she appreciates the discipline that dancing has taught her daughter. 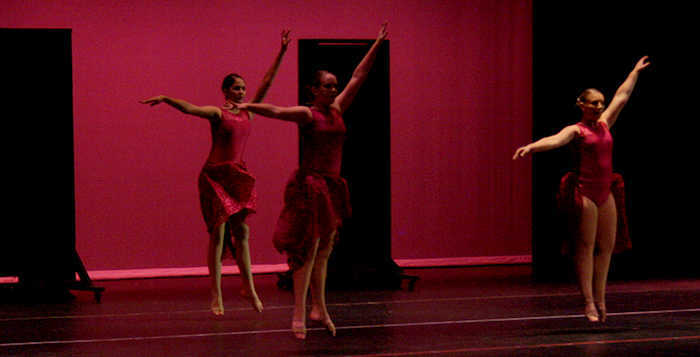 For Gentilella, that is just one of the reasons she’s kept her doors open through the tough years and continues to do so today. She also follows her dream in honor of her mother, who was a big supporter of Gentilella’s dance career, but passed away before she could see her daughter’s success. 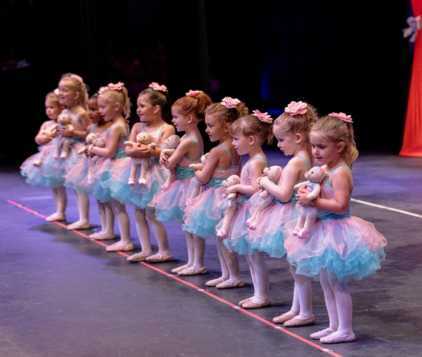 In fact, it was her mother who was going to play piano for Gentilella’s ballet productions. 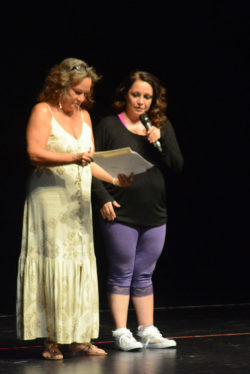 And today Gentilella has become that advocate for others. 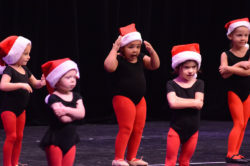 This story appeared in the Winter Edition of InMaricopa The Magazine.